Ah, the analytical essay. Whether it’s five paragraphs or not, whether it’s called an essay or a paper or even a “theme,” it’s pretty much the default major assignment in high school and even college English classes. Because I teach middle school, and because I work at an independent school, I have quite a bit of flexibility in my writing curriculum. I can assign a lot of varied creative writing assignments, and I very happily do! But I also need to teach students how to write solid, carefully structured analytical essays about what they read. Both my seventh and eighth grade classes are working on essays now, so I’ve been thinking about how I teach students to do this kind of writing and what seems to work. The thing is, this kind of writing isn’t intuitive, so students need a lot of explicit instruction and examples. They need to be told that they can’t use first or second person, and then they need to see examples of how to write a sentence that shows their opinion without using “I” but also without a whole lot of confusing passive voice. They need to be armed with helpful verbs for analytical writing (depict, convey, portray, imply, reveal, etc.). A cheat sheet of good transition words helps, too (first of all, in addition, therefore, however, etc.). They need to understand the structure of a solid essay, and they need a lot of scaffolding to grasp how to structure an analytical paragraph and how to deal with quotes from the text they are analyzing. I don’t blame them. I can clearly remember a moment when I was in ninth grade and had been assigned to write an essay with at least three quotes in it. I had been taught how to structure an essay in general, but not what to do with the quotes. So I wrote the whole thing and then asked for my mom’s help to sandwich in some quotes somehow. I had always read a lot, so I had soaked up all kinds of unspoken rules of writing by reading. But it’s not like I was reading other people’s five-paragraph essays, so I had no way to soak up the rules of using quotes. After that assignment, my ninth grade English teacher wrote an essay in front of us, in marker on a transparency sheet that she projected on the board. I saw how she handled the quotations, and after that I knew what to do. But that experience has stuck with me. Students need to see good, accessible examples of the kind of writing we want them to do, and many of them need more than just examples. However, I don’t want to simplify essay writing to a meaningless formula in which students are simply filling in sentences rather than developing their own ideas. I’m only teaching seventh and eighth grade this year, but when I have taught sixth grade in the past, I’ve asked for a modified version of analytical writing from sixth graders. They can still use the first person in their essays, which I’ve referred to as reader’s response essays rather than analytical essays. I’ve had them write responses with three body paragraphs that discuss three different points, and I’ve asked for one quote per paragraph, but I haven’t worried too much about how they integrate or format their quotes or how detailed their discussion of the quotes are. For seventh and eighth graders, I ask for essays that follow all of the conventions that students need to have mastered by high school, but I break essay assignments down into several manageable steps. I hope this series proves helpful, and I have some more student-author interviews in the works, as well, so those will keep coming, too! 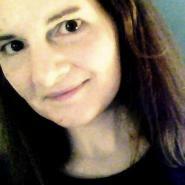 It’s time for another student-author interview, and I’m very excited to feature the tireless and talented Jen Malone! Jen’s debut novel, At Your Service, came out in 2014, and she is one busy author. 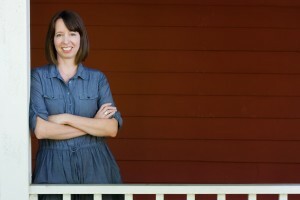 She has several books for tweens and teens on the way, and you can find out more about them at jenmalonewrites.com (and in her interview below)! In At Your Service, thirteen-year-old Chloe Turner already knows exactly what she wants to do with her life: she wants to follow in her dad’s footsteps as the concierge at a fabulous New York City hotel. After Chloe manages to entertain Marie, the extremely difficult daughter of one of her dad’s important guests, she earns the job of Junior Concierge. It’s up to Chloe to show a prince and two princesses around the city. But cute Prince Alex, unimpressed Princess Sophie, and mischievous Princess Ingrid might be more than Chloe can handle…especially since Ingrid has an uncanny talent for disappearing and goes missing on Chloe’s watch. This is a fun, humorous, fast-paced story that takes readers on an exciting tour around New York City. 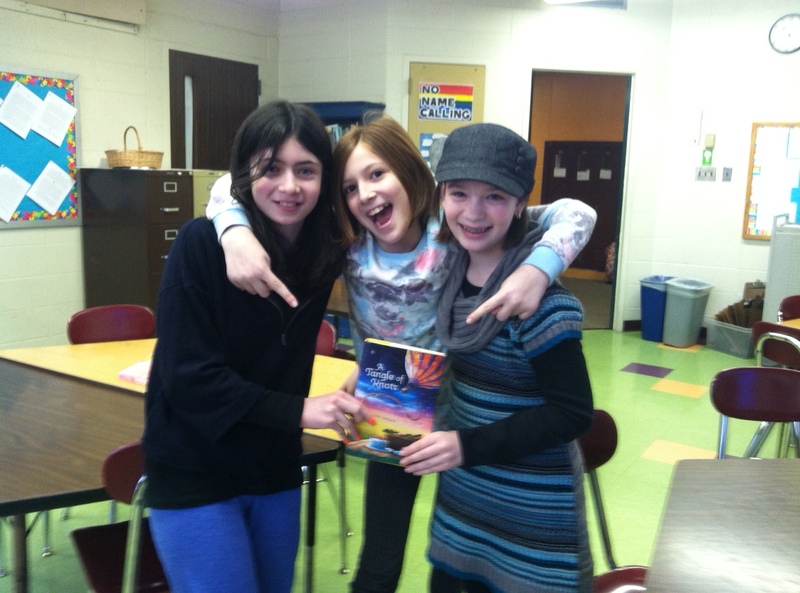 Abby, Juliana, and Lucy read the book and had some great questions for Jen! Juliana: I like that Chloe works at a hotel as the Junior Concierge and gets to help with the kids who stay there. She has a really unique job. Abby: I liked how Ingrid, the littlest princess that Chloe was in charge of, wants to get all of the souvenir pennies in the city! 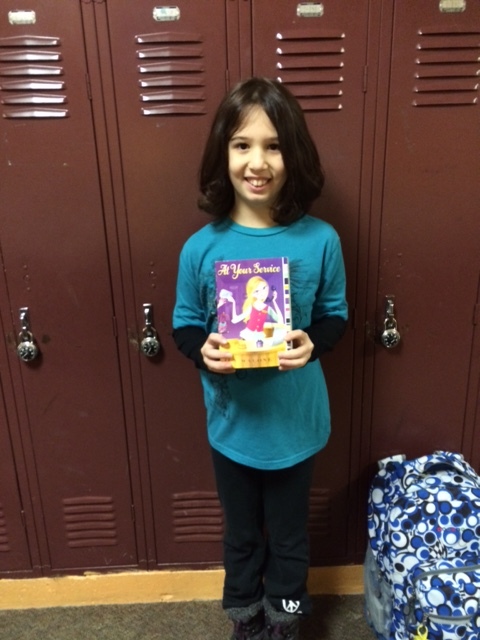 Lucy: I liked the point of view that the book is written in and the way the characters are described. Thank you, girls!! I love reading these so much- you’ve made my day! Lucy: What inspired you to write this book? Two things were my big inspiration for this book, and both were jobs I once had. One was managing a youth hostel in Baltimore not long after I graduated college. It was nowhere near as fancy as the Hotel St. Michèle (guest slept in bunk beds and shared one big bathroom!) but I did get to put together fun itineraries of my hometown for visitors from all over the world and I loved sending them places where I knew they’d have fun. I also used to work as a publicist for the movie studio 20th Century Fox and part of my job was acting as a personal assistant of sorts for any visiting movie stars. I would set up all their media interviews and walk down the red carpet with them at movie screenings, but I also had to do really silly things, like make sure they had their favorite kind of bottled water, which was only available in France and had to be shipped in special. Writing the scenes with Marie were really fun because I have dealt with movie stars who were only slightly more reasonable in their demands! Juliana: Did you grow up in New York City? How did you decide to set the book there? Did you do any research about the city to write the book? I grew up in horse country, about 40 minutes outside Baltimore. But I visited NYC several times as a kid and now I go three or four times a year from Boston, where I currently live. I think it helped that I don’t live in NYC because I still see the magic of the city every time I go and could write about it with that sense of awe. If I lived there, I might be more ho-hum about it and that could have snuck into the story. I did have to do a lot of research for the book- I interviewed a Rockette to find out what a rehearsal was like, I spent a day “shadowing” a concierge at his hotel, and used Google maps streetview to trace all the steps my characters took. My husband was in NYC on a business trip when I was writing this, so I had him visit every penny machine in the city and take lots of photos of their surroundings so I could write the part where the characters go to the penny machines realistically. He got extra hugs for that! And then my editor and one of my close friends who read my first draft both live in New York City, so I relied on them to fact-check for me. Abby: How did you get the idea for Ingrid wanting to collect the souvenir pennies? Directly from my three kids, who all have collections of them! We have fun seeking out those machines on vacations. I was really stuck on how to give Chloe clues about where Ingrid might be when she disappeared and I just couldn’t figure out how to write the next part of the story once Ingrid made her getaway. One day I was driving and the idea of the pennies just came to me! It ended up working perfectly because it let Chloe and the others have a roadmap of sorts for where to look and also allowed me to write about all the great tourist spots in the city. Juliana: Is the Hotel St. Michèle a real place? If so, how did you choose to write about that hotel, and if not how did you come up with it? It’s not a real place and it was actually named by my editor, but when I worked for 20th Century Fox I spent a LOT of time in fancy hotels throughout Boston because a lot of the visiting actors’ interviews were done in hotel meeting rooms (or sometimes in the actors’ suites). Also, part of my job was to check into the hotel ahead of the actors and make sure all the room’s lamps worked and that the toilet flushed- all so the movie stars wouldn’t encounter any hassles when they arrived. Silly, right? The good part was that sometimes they would finish their interviews early and hop a flight back to LA and I would get to stay in their fancy suites since the room had already been paid for. I once spent the night in the Presidential Suite at the Four Seasons in Oprah Winfrey’s bed when she left early- she even left all her yummy food in the fridge! So I had lots of good fancy hotel experiences to draw from when coming up with the Hotel St. Michèle. Lucy: How did you choose to make Chloe the age she is? Her age actually changed from what it was in the first draft. She started out as thirteen going on fourteen, but my editor wanted to leave room open if there were ever to be a sequel and thirteen is sort of the top age a character would be before it would cross into YA and be in a different section of the bookstore. But we couldn’t make her too young because then it wouldn’t be believable that she’d be allowed to roam the city by herself and/or with her guests. So we settled on making her twelve at the start of the story and then having her turn thirteen just before the royal family arrives. 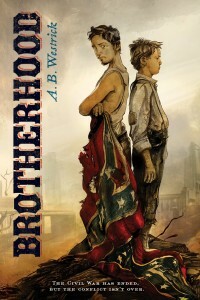 Abby: Is there going to be a sequel to this book? If not, what else are you writing? No sequel yet, though I do have some ideas for one, if the publisher decides to go forward with it! It really comes down to how many copies of the first book sell. But in the meantime, I have six more books coming out. The next one is a series called You’re Invited, which I’m co-writing with one of my good friends. 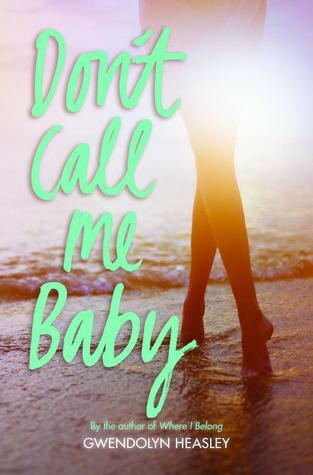 The first book in that series comes out in May and it follows four girls who live in a tiny beach town in North Carolina and decide to entertain themselves over the summer by forming a party planning “business” in their abandoned-sailboat clubhouse. They throw some rather, er, unique parties and everything that can go wrong does, but their friendship is really what the story is about! It’s perfect for kids who might have liked The Babysitters Club and not yet be ready for Sisterhood of the Traveling Pants– it falls right between those two series. Book 2 comes out next year and I also have three Young Adult books coming out with HarperCollins, one per summer starting this July. Juliana: What inspired you to become a writer? I skipped kindergarten because my mom had taught me to read already and I think that made me latch on very early to the idea that my reading skills (and soon after, my writing ability) was what made me special- it was “my thing” and the part of me that I had the most confidence in, even when I was a disaster at other things (gym class- I’m looking at you!). In 3rd grade I won a school-wide award for Best Halloween Story and that cemented it. After that though, I stopped writing fiction because I thought I wanted to be a newspaper reporter. I was an editor on my school paper in high school and college, then switched to advertising (writing the copy for ads) and then public relations (where I wrote press releases). So I was always writing, just not fiction. It wasn’t until my youngest daughter showed a huge interest in reading as a kindergartener herself that I even thought about writing fiction again. I had an idea to write her a short story that she could read to me at bedtime and I set aside a few hours to work on it. A month later I had written an entire book (oops!) That was in 2012 and I haven’t looked back—it quickly took over my life! Part of me wishes I hadn’t taken such a long break between 3rd grade and now, but when I realize how much of my other life experiences make it into my stories, I don’t regret the zig-zag path to get back to writing one little bit! Juliana: Did you know you wanted to be a writer when you were in middle school? Yes, but I thought I would be a journalist. Most of what appealed to me about journalism was that I loved getting to know a lot about one specific subject and then moving on to the next interesting thing for the next article (I’m really curious and I love to learn new things, but I also get bored sort of easily). However, I’m finding that to be completely possible with fiction writing too. Right now I’m writing a book that takes place during Hurricane Katrina. I’ve read probably twenty books on the storm and New Orleans and I love that part of the process. I’m even booking a trip there this winter so I can better describe the places I’m setting scenes. That kind of “formal excuse” to explore any subject that piques my curiosity is definitely something that would have appealed to my middle school self as much as it does my adult self. Abby: Where did you live and what school did you go to? I lived in Jacksonville, Maryland, in a really normal subdivision that happened to be surrounded by horse farms (I took riding lessons, but I never did get my wish of owning a pony!) and had to take the bus thirty minutes to the closest middle school. We sarcastically called our town “Actionville” instead of “Jacksonville” because nothing much happened there! We did get a McDonalds when I was in middle school, though. That was a big day. Lucy: Is Chloe like you when you were in middle school at all, and if so how? Or are any of the other characters like you when you were in middle school? Chloe is like me in middle school in that I sought approval from adults a lot and I always wanted to be seen as capable and mature, even when I didn’t always act that way. She has a good sense of adventure and I did too, but she’s much more confident in herself than I was. I wasn’t popular and I wasn’t unpopular- I was fairly “average,” if there even is such a thing. But I was so intrigued by the popular girls and I could never stop watching them (I think this trait is what makes me a good writer today- I people watch A LOT, but now I get to put those observations to use in developing characters) and I don’t think Chloe would care that much about popularity. For example, I definitely would have been much more intimidated by Princess Sophie than Chloe ever was. The times that I did hang out with the really popular kids were fine and no one was making fun of me or anything, but I just never had as much fun as I did around my other friends because I was never relaxed and being myself around those kids. I don’t think Chloe would have wasted five minutes trying to be popular—she was already looking to the future in a way I wasn’t at that age. However, I was totally boy crazy so, just like Chloe, I would have had a thing for Prince Alex and I also would have been so, so nervous and thinking things like, “Did I remember to turn off my curling iron” when he leaned in to kiss me! Thank you, Jen, for visiting with us! We loved finding out about how you became a writer and how AT YOUR SERVICE became a book, and we’re looking forward to your upcoming releases! Here it is—student-author interview number 10! I’m really excited to bring you this interview with Dianne Salerni, author of two YA novels and a smart, fun, imaginative, and suspenseful middle grade fantasy series. 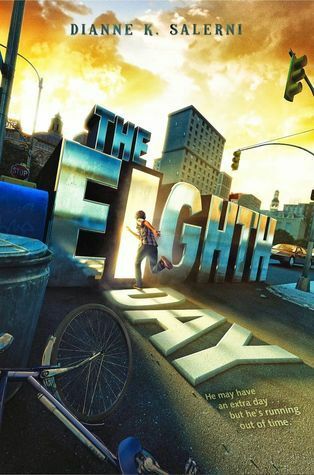 The Eighth Day, the first book in the MG series, introduces Jax Aubrey, a thirteen-year-old boy who has been sent to live with a very unlikely guardian: eighteen-year-old Riley Pendare. 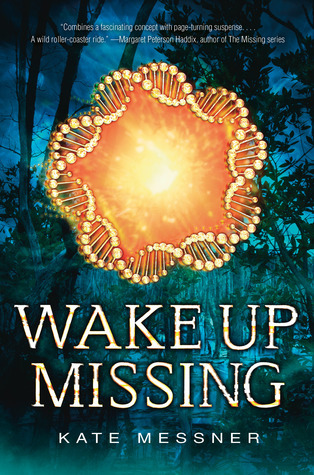 Jax is not impressed with his new life with Riley…until he wakes up one morning to a world without any people. It turns out that Jax is in the eighth day, an extra day between Wednesday and Thursday that is linked back to Arthurian legend. Jax and Riley are Transitioners, which means they have connections to clans from Arthurian days and can live in all eight days. But there are other people, like a mysterious girl named Evangeline, who can only live on the eighth day. With Riley’s help, Jax suddenly has to deal with greedy people who want to use him to access the eighth day and dangerous people who want to use the magical Evangeline to destroy the regular, seven-day world and everyone in it. Two seventh grade students, Silas and Jonah, and two fifth graders, Abby and Miles, interviewed Dianne about The Eighth Day and The Inquisitor’s Mark. I hope you enjoy the interview! When you’re finished reading it, you can find out more about Dianne and her other books at diannesalerni.com. Silas: I really like the idea of an eighth day that only certain people can get to. Jonah: I like the concept of an eighth day, too. I really like how it doesn’t seem like any time has gone by for the kin who are only in the eighth day, but really a number of days have gone by for everyone else. Abby: I really liked how Jax had to get a tattoo to represent his clan and make his magical abilities stronger. Miles: I liked how The Eighth Day connects the legends of King Arthur to the present time. I also liked how the book was told from both Jax and Evangeline’s perspectives but more from Jax’s, and I liked the descriptions of the characters because I could really picture them. Silas: How did you come up with the idea of an eighth day? The idea came from a family joke. Whenever my daughters asked my husband when they could do something (like go to Hershey Park, or the beach, or ice skating) and he didn’t have a specific answer for them, he’d say, “We’ll do it on Grunsday!” And they would groan because that wasn’t a real day. Once, while they were making the usual joke, I thought to myself, “What if there really was a Grunsday, but not everyone knew about it?” And that’s how it all started! Jonah: How did you come up with the name for Grunsday? We know that some other days are named after Norse gods–does this name have any meaning like that? Grunsday is often used as a joke name for a day that doesn’t exist. As far as I can tell, it comes from an old Beetle Bailey comic strip. In one episode, Army private Beetle Bailey is on kitchen duty all week. In each frame, he eagerly crosses off days on his calendar. When he gets to Saturday, he says, “I’m glad there are no more days in this week!” Then he looks at the calendar, sees another day, and exclaims, “GRUNSDAY?!? !” I assume cartoonist Mort Walker made it up. Abby: I really like Evangeline. How did you come up with her character? After I got the idea for a secret day, I had to figure out a story to go along with it. Jax was the first character who came to me, then Riley. I knew Jax would be an orphan who discovered the secret day by accident and Riley would seem pretty clueless and not a good guardian at first — then turn out to be more important than Jax thought. (And a good guy.) I started planning out different events and characters. The bank robber and the twins were planned early on. Believe it or not, Evangeline was the last (important) character who came to me. I had an idea about Jax finding a girl who lived only on Grunsday – then started wondering who she was, why she was trapped in that day, where she came from … Once I invented Evangeline, the whole story came together, and I was ready to start the first draft. She was the key to the whole book! 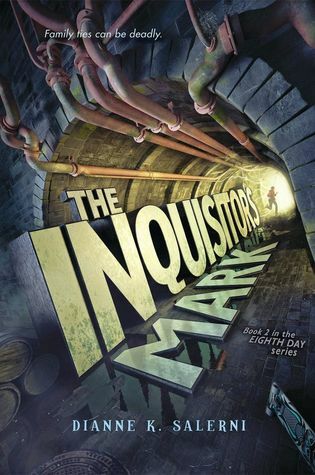 Silas and Jonah: We read both The Eighth Day and The Inquisitor’s Mark, and we know that there is going to be a third book, too. How long did it take you to write the first book versus the second and third book? Did you write them all at once, or did you take a break between the books? I started writing The Inquisitor’s Mark not very long after signing the contract. It took me 11 weeks, the fastest I’ve ever written a first draft! By contrast, the third book took me about 7 months. I got interrupted a lot while working on it because of things I had to do for the other two books, like revisions and proof-reading. I didn’t take too long a break between writing each one because I had a pretty tight schedule for deadlines. Miles: I like to write and my teacher tells me I’m a good writer, but I don’t know how you can just sit and write a whole novel with hundreds of pages. How do you do that? Are there any tricks? When I was your age, I couldn’t write stories that long either. My stories gradually grew in length the more I wrote and the older I got. I don’t think there are any tricks I can recommend except to keep writing AND reading to learn everything you can about story-telling. More complex stories will come to you with experience. Writing short stories is a good way to begin! Jonah: How did you come up with all of the names for the different families in the books? I noticed that some of the present-day families are named after ancient families’ last names, but then it seems like other families like the Morgans are named after the first names of the ancient people they’re descended from. How did you decide to do that? I figured names would change over 1500 years, and some families might change their names to make them modern-sounding. For example, Sir Owain’s name was changed to Owens (although I gave Owens a first name that could also be a last name just so you wouldn’t know who he was when you met him.) As for Morgan LeFay, “le fay” means “the one with witch powers” so it was more of a nickname than a family name. Some legends say Morgan was Arthur’s half-sister; others say she wasn’t. None really give her a definite family name. Morgan made a good last name for a modern family, so I decided that Morgan LeFay’s line decided to use Morgan as their surname somewhere between Arthurian time and now. Silas: Why did you switch from alternating Evangeline’s perspective with Jax’s in the first book to alternating another character named Dorian’s perspective with Jax’s in the second book? Will it be a different character’s perspective alternating with Jax’s perspective in the third book? Such a great question! No adult reviewer has ever asked me why there is an alternate POV, let alone how I decide who it will be! In each case, the alternate POV has to be someone who can provide the reader with information Jax doesn’t have – otherwise, there’s no reason to give them POV. In The Eighth Day, Evangeline gives the reader a glimpse of what life is like trapped in the eighth day. She shares the history of her family and her race, the Kin. Evangeline is the major focus in that book, because everything Riley and Jax do revolves around her. In The Inquisitor’s Mark, Evangeline is still important, but her perspective doesn’t add anything to the story that Jax doesn’t already know. (FYI — One of my editors really loved Tegan and asked if I could make her the alternate POV character in Book 2, but like Evangeline, Tegan doesn’t have information to share that Jax doesn’t already know.) On the other hand, Dorian, as a member of Jax’s long-lost family and the Dulac clan, is full of information Jax doesn’t have but the reader needs. It was weird writing from his perspective at first, but the more I got to know him, the more I liked him. One of my favorite scenes in the book is the one with Dorian and Billy and the garbage chute! Yes, in the third book, there will be a new alternate POV character who’ll give readers a perspective Jax doesn’t have. Based on the end of Book 2, you might be able to guess who it is, but rather than post a spoiler in this interview, I’ll tell your teacher who it is, and you can ask her if you want to know if you guessed right! Miles: What does it feel like to spend a really long time working on a book and then wait to see if other people like it and if they think it’s a success or not? It’s nerve-wracking!!! Since the popularity of the books will determine whether HarperCollins lets me write Books 4 and 5 (or if I have to end with Book 3), it’s scary, too. Also, because the books are written so far in advance of publication, I’m a walking, talking spoiler machine. I have to be careful what I say to people. The first draft of Book 3 was written before Book 1 even came out, but I can’t talk about it much. I can’t even share the title, because it hasn’t been officially approved yet! Jonah: We heard that you were a teacher for a long time. When you were in middle school, did you want to teach, write, or do something else? When I was growing up, the only two jobs I ever wanted to have were teaching or being an author. I am really lucky that I got to live both dreams! Abby: What was your favorite book when you were in middle school? I loved fantasy, science fiction, and mystery. (Still do, actually.) I read the novelized version of Star Wars a thousand times. (Yes, I was in middle school in 1977 when the first Star Wars came out.) I also loved mysteries written by Mary Stewart and Agatha Christie. Katherine Kurtz and Piers Anthony were my favorite fantasy authors. Miles: How long were your fiction stories when you were in middle school? I want to know if you taught yourself to write for a really long time or if you could just do it even when you were a lot younger. I’m so glad you asked that! I went digging in the back of a closet and found a story I wrote in 8th grade that won a creative writing contest at my school. Personal computers were only just getting invented back then, and I didn’t own a typewriter until I was in high school, so all my stories were handwritten. The Andromeda Treaty was a science fiction story, and it’s 37 notebook pages long, written in cursive. If that was typed out, it wouldn’t be very many pages. So, as you see, I had to work up to writing novel-length works, just like you will some day! Thank you so much for answering our questions, Dianne, and for showing us a glimpse of your middle school writing! Welcome to the ninth student-author interview! I’m very excited to feature debut author Caroline Tung Richmond and her fabulous novel The Only Thing to Fear. The Only Thing to Fear takes place in an alternate reality in which the Nazis won World War II, thanks to their genetically engineered “Anomaly” super soldiers. Sixteen-year-old Zara, a stubborn girl of mixed heritage, longs to live in a free America and is eager to join the rebel group that is plotting to overthrow the Nazi leadership. She just might have the power to help bring down the Führer, if she’s allowed to join the rebels and if she can manage to survive. Now let’s get to the interview! 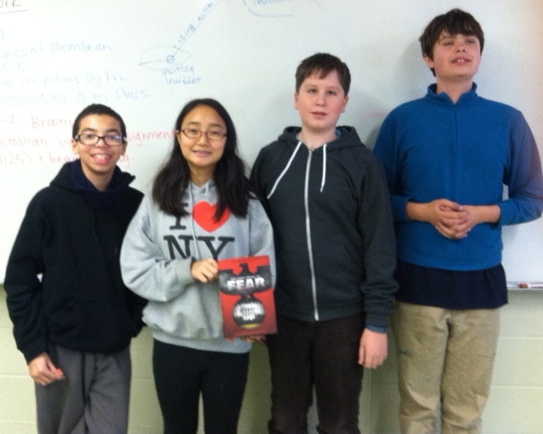 Four eighth grade students–Geno, Casey, Jack, and Rudyard–read The Only Thing to Fear and had some terrific questions for Caroline. Geno: I liked the fantasy part and how some characters had special powers. It was unexpected but cool. Jack: I liked how there were so many plot twists, especially related to Zara’s character. I also liked that Zara is a powerful girl and that females in the book have positions of power. Rudyard: I liked how the book was new and fresh. There were places where I thought I could predict what was going to happen or what a character (like Bastian) was going to turn out to be, but then there was a surprising plot twist instead. Casey: I liked the alternate history. I loved how you thought about what if the Nazis had won WWII because it’s not something that many people would think about. I also liked how you made Zara really powerful, but she wasn’t too powerful and her powers couldn’t magically fix everything because it’s no fun when the main character is too powerful. Thank you so much, you guys! This makes me so happy to hear, and I’m so glad that you enjoyed the book! Casey: What inspired you to write the book? Hi Casey! Thank you so much for reading my novel! To answer your question, I’m a big history geek and so I’ve always been interested in alternate histories and asking myself ‘What if?’—like what if Lincoln had lived and was able to oversee Reconstruction? Or what if Franz Ferdinand had never been assassinated before the start of WWI? Then, back in 2010, I was looking for a new book to read and my husband recommended The Aquariums of Pyongyang, a memoir written by a North Korean refugee. I read the book in one sitting, and afterward I couldn’t stop thinking about it. What would it be like to live under such a cruel regime? How could someone fight against all of that oppression? I started imagining a girl living in such a place—and wanting so badly to fight back against her government. My imagination sort of went wild from there, and that is how Zara and The Only Thing to Fear were born! Jack: How long did it take you to write the book? Hi Jack! Thank you for reading my book too! Gosh, this novel has a strange backstory. I’m usually a very slow writer—my husband’s nickname for me is ‘the baby sloth’!—but I hammered out the first draft of The Only Thing to Fear (back then it was called Revolutionary) in about two months. This was really fast for me. But then it took me a LONG time to revise the novel—over a year! Geno: How did you think of including Anomalies with special powers in the book? Did the book always have Anomalies with special powers, or did you add that part in later on in your writing process? Hi there Geno! Thank you for your question! I’m a big fan of X-Men, and ever since I was in elementary school I’ve dreamt about having a super power. (I’d pick telekinesis! How about you?) And so, I’ve always envisioned having Anomalies in this book because I thought it’d be fun to write about people with super powers. Rudyard: What process did you use to design the alternate history? Did you go back and make a chart of all the things that would have happened if the Nazis had won and then make a timeline for everything, or did you do something else to figure out the alternate history setup? I create alternate histories myself, and I use charts and timelines. To answer your question, I’m far less organized than you are! I wish I had created a cool chart but mostly I just jotted down notes in a Word document to keep track of dates and events. When I was revising the book with my editor at Scholastic, we also created a timeline to make sure that everything made sense and that the events fell in a logical pattern. Jack: We don’t remember much about the concentration camps in the book. In your vision of this alternate history, what happened with the concentration camps? In an earlier draft of the book, there were a few mentions of a “work camp” where people were sent if they did something that the Nazis didn’t like. But as for concentration camps specifically, I’ve envisioned that they existed very much in the same way in Zara’s world as they did in our own—with the Germans setting up camps like Auschwitz and Dachau where they killed so many innocent lives. Ultimately though, I ended up deleting the mentions of the camps to streamline the story, but now that you bring it up, I wish that I had kept them in because it’s an important point to address. 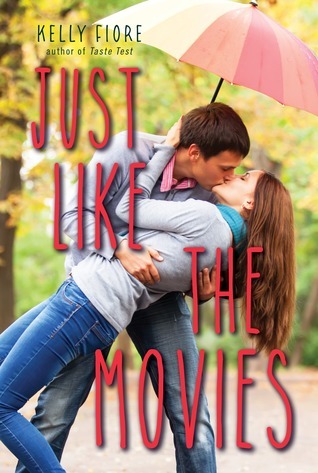 Casey: Did the book always have a romance element, or did you figure out that you wanted to add some romance partway through writing the book? Have you thought about what happens with Zara and Bastian after the ending, and would you ever write an epilogue or a second book to tell about what happens? Yes, I always wanted there to be some sort of romantic element in the book! I had a lot of fun writing the kissing scene between Zara and Bastian—and my editor made sure that it wasn’t too mushy. Haha. I’ve actually thought quite a lot about what happens to Zara and Bastian after the story ends! Originally, I had envisioned this book as the first in a trilogy. The second book would center around Zara and the Alliance pushing the Nazis out of the Eastern American Territories; and the third book would focus on Zara traveling to Germany to help Bastian stamp out the Nazis for good. So yes, the two of them do meet again, at least in my brain! There aren’t any plans to write a sequel for now since my publisher only bought The Only Thing to Fear, but maybe one day I will finish Zara’s and Bastian’s story! Jack and Geno: Was Zara based on you in any way? Were any of the events in the book based on anything that happened to you? As for the second part of the question, I didn’t base any events in the book on my life either but I wouldn’t mind having a cool super power and using it to fight evil. Casey: When you were in middle school, were you part of a writing club or anything like that? Jack: Were you ever bullied? I was teased and made fun of at times from elementary school to high school, but I consider myself lucky because it didn’t happen to me too often. I think bullying has gotten worse since I was in school, maybe because cyber bullying is becoming a bigger and bigger problem. Have you ever felt bullied? Do you have any advice on how to counteract bullying? I have a nine-month-old baby daughter, and I’ve already started worrying about sending her to school because I know bullying can be a big problem! Maybe you can give me some pointers to give her when she’s older? Casey and Rudyard: Did you like history class when you were in middle school? Did you like WWII history, specifically? Yes, I’ve always loved learning about history! One of my favorite classes in high school was Ancient History because I loved learning about people who lived thousands of years ago. I’ve always been interested in WWII history too, because it’s one of those rarer instances in history where there definitely was a Good Guy versus a Bad Guy. I also admired the courage and bravery of the men and women who fought against the Axis powers—from soldiers to nurses to everyday people who fought however they could. My new book is set in Occupied France (when the Nazis overtook a part of France during WWII) and it focuses on a group of spies who uncover a top-secret German operation that can turn the tide of the war. It was very much inspired by the courageous men and women I learned about in my history classes! Thank you so much for answering our questions, Caroline! 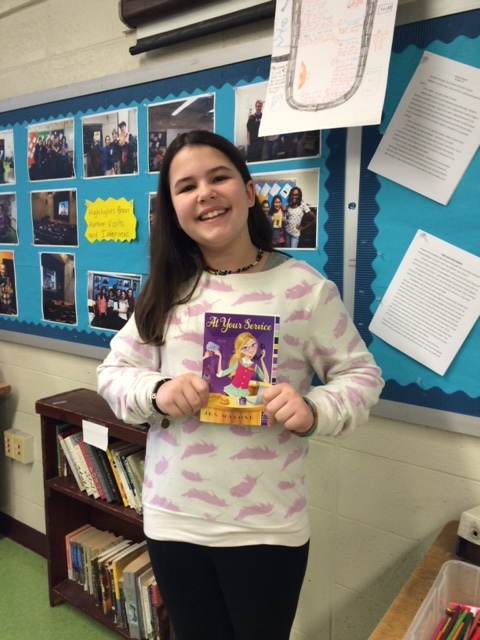 Your new book sounds fabulous and we can’t wait to read it! For anyone looking for holiday gifts for readers who are history buffs or who enjoy action-packed fantasy novels with fascinating premises and great characters, we definitely recommendTHE ONLY THING TO FEAR! Last week, a couple of other teachers and I took the seventh grade to an author event with Holly Goldberg Sloan, the author of three fabulous middle grade and young adult books: Counting by 7s, I’ll Be There, and Just Call My Name. The event was part of the Free Library of Philadelphia’s amazing Teen Author Series, a program that’s funded by the extraordinarily generous Field family. Seventh to twelfth grade classes at schools in the area can reserve seats for these events. 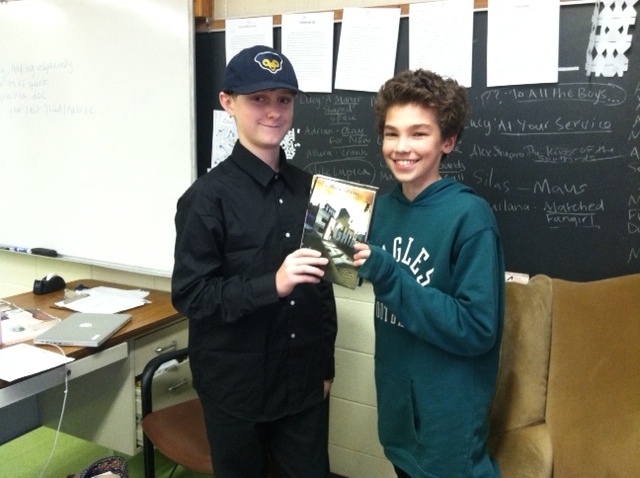 Participating students get their own copies of an author’s book, and then they hear the author speak and get their books signed. 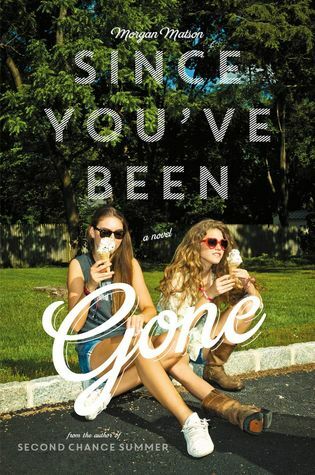 When I found out that Holly Goldberg Sloan was going to be a part of this fall’s Teen Author Series, I was eager to sign up for her event. Some students had read Holly Goldberg Sloan’s Counting by 7s over the summer, as part of my summer reading book pair, and they loved the funny, poignant, and sweeping story as much as I did. I knew those students would love getting to see the author in person, and I had a feeling that many other students would enjoy the book, too. So imagine my surprise when we made it to the other branch of the library and were guided into a small room that was completely empty except for around 50 chairs and a table at the front. It ended up being just us and the students from one other school! My students refrained from asking me what the heck I’d been talking about, but they were delighted when Holly perched at the edge of the table in front of the room and talked to them–just casually, personably told them stories and talked! They got to ask all of their questions, and they each got a special moment with Holly when she signed each book. The larger library events we’ve attended have also been wonderful (I mean, you really can’t argue with a free author event that includes a free book for every student!). But I loved the intimate tone of this smaller gathering. Counting by 7s is a big, ambitious book, both in terms of its length and in terms of the scope of the story. There are many point of view characters whose ages span many years, and the story begins with a big, devastating event. Holly Goldberg Sloan was a screenwriter before she became a novelist, and Counting by 7s is going to be a movie; reading it, you can see how the cinematic story will work beautifully on the big screen. Holly’s YA books are similarly big and sweeping. But during Holly’s informal talk, she not only talked about writing screenplays and novels, but she also spoke about how she enjoys poetry. She mentioned that the titles of her books can lead to some great book spine poetry and encouraged students to find books and stack them in different orders, to create small poems with the titles. She explained that sometimes, with an activity like book spine poetry, the small scope of the task (you only have book titles to work with) can lead to a lot of creativity. As I’ve mentioned on this blog before, I’m a fan of giving students structured creative writing assignments because an assignment with tight, clear instructions can often yield amazingly creative results. I left the event thinking about the benefits of small events and small, tightly focused writing tasks and the awesome power of big programs like the Teen Author Series and big stories like the ones Holly tells. The first quarter of my school year ended recently, so I’ve been talking to my seventh grade advisees about how things are going so far in their classes: what they’re proud of so far this year; how they learn and work best; and what strategies they might try out in this next quarter to improve their homework, test-taking, proofreading, class participation, etc. Those conversations have led me to do some reflection of my own. I’m currently working on the first draft of a new novel, and while it’s slowly but surely coming along and I’m excited about it (most days), I know I could find new ways to maximize my productivity and make my drafting process go more smoothly. So I’ve been thinking about how I work best and what new strategies I might try out as fall moves into winter. One great thing about my MFA program was that I worked closely with four different advisors, and they gave me lots of different writing techniques to try out. As I experimented with various ways of brainstorming and plotting and drafting, I learned plenty of things that work well for me, such as freewriting backstory scenes, determining a character’s controlling belief and vacuum, and figuring out a crossroads scene that my main character is moving towards. But I also tried out some techniques that didn’t work so well for me. I like to plot out what will probably happen around the midpoint and at the end of a novel, but it just doesn’t work for me to write scenes out of order. I’ve tried to write those midpoint and ending scenes before I get to them, and I can’t do it. I know lots of people swear by writing out of order, but it makes me anxious and gets me stuck. The dynamics between characters are so important for me that I can’t seem to put my characters into a scene if I haven’t accompanied them through every stage of their journey to get there. There are times when this impulse doesn’t serve me well and I have to fight it. Sometimes I tell myself that I need to reread a bit from the beginning of my manuscript when really I’m just avoiding the next scene. But for the most part, I’m okay with this part of my process. I’ve been talking to my students about how they learn best, and I think this is part of how I learn. I need to reconnect with the voice I’m going for from time to time, and I’m not able to say, “Oh, when I revise I’ll go back and change that, but for now I’m going to keep drafting as if I’ve made that change.” Some writers are, and that’s great. But I can’t write the later scenes as well unless I’ve had the physical experience of revising the earlier ones first. I’m glad that I’ve come to understand some things about what works for me and what doesn’t work for me as a writer. The challenge, though, is to make sure I don’t fall into a rut and resist trying new strategies that might be difficult or tiring at first but ultimately really great (kind of like the Pilates classes that I stopped going to when my 10-class card ran out). I know some writers who are pushing through 50,000 words of a novel for NaNoWriMo (National Novel Writing Month) right now, and I really admire them. I make modest monthly word count goals when I’m drafting, but it doesn’t feel feasible for me to write that quickly in November because of my teaching workload (and my whole I-need-to-reread-this-from-page-1-again-now compulsion). But maybe I’ll get back into the habit of trying some early morning writing sessions here and there to switch things up, and I’m going to come up with a list of things I can try if I am feeling stuck before I give in to the impulse to reread my draft from the beginning. Things like writing by hand instead, or doing a quick relaxation exercise first, or trying a timed writing sprint. How about you? How do you work best? What does and doesn’t work for you? What new techniques could you try? I’ve been challenged by fellow VCFA alum (and Philadelphia area resident) Nicole Valentine to participate in the 777 Challenge. I’m supposed to share 7 lines of text, 7 lines down, on the 7th page of my work-in-progress. Here’s the link to Nicole’s post, where she shared seven lines from a smart and poignant middle-grade time-travel novel I’ve heard her read from a few times and can’t wait to read in its entirety! I’m working on the first draft of a humorous middle-grade epistolary novel tentatively titled NOT SOME TRAGIC HEROINE, which features two very different main characters, Juliet and Claire. Claire is a PK (a preacher’s kid), and Jules is the daughter of two artistic parents with an unconventional relationship. 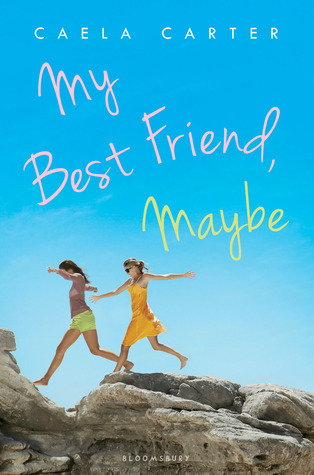 Jules and Claire have been best friends throughout middle school, but now, in the spring of eighth grade, their friendship is falling apart. They used to dare each other to do silly things all the time, and in their first big fight, they each dare the other to do something huge, and completely uncharacteristic. “But, I mean, it was Lucas’s idea, right?” I asked. She sighed and shook her head again. Her neck was probably getting achy. But that’s Claire for you. All about forgiveness. Except when it comes to herself. I’m supposed to tag other writers, but I’m not sure who’s already been tagged and who hasn’t. So please consider this an open invitation to share seven lines of text, seven lines down, on the seventh page of your work-in-progress if you’d like to! Last spring, I was browsing online for some new classroom library books to purchase, and some of my sixth grade students were helping. 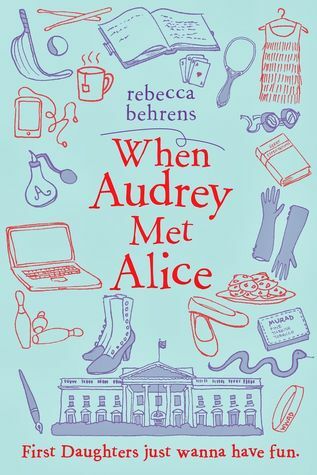 I had recently happened upon this interview about the story behind the final cover design of Rebecca Behrens’s debut middle grade novel, When Audrey Met Alice, and I thought the book looked like a lot of fun. I showed the kids the interview, and then we checked out the description of the book. When Audrey Met Alice features two first daughters—a fictional, contemporary first daughter named Audrey, who feels lonely and constrained in her White House life, and a real-life, historical first daughter, Alice Roosevelt. 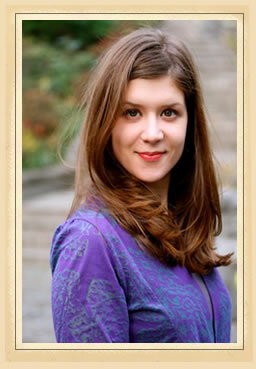 Audrey finds Alice’s hidden diary and finds both solace and inspiration in Alice’s lively, often humorous adventures. “That book sounds amazing! You have to buy that!” my students said after we read the description. So I did. 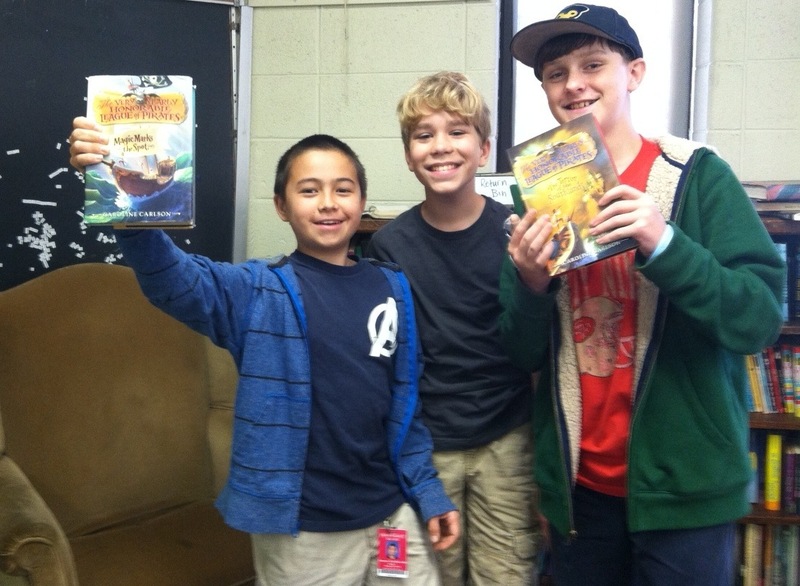 The book lived up to their enthusiastic expectations, and other students were eager to read it, too. 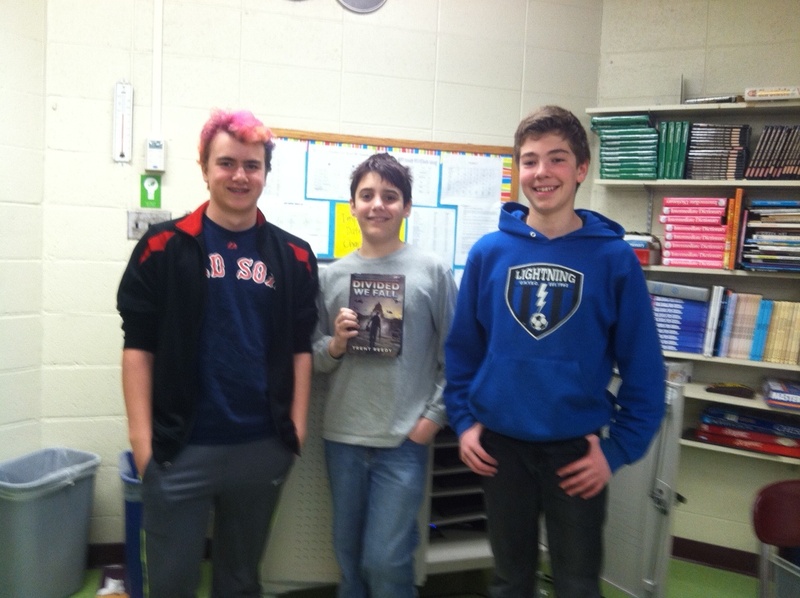 As I began planning interviews for this year, I figured these students, who are now seventh graders, would be just as excited to interview Rebecca as they’d been to read her book. And I was thrilled that Rebecca wanted to answer questions from student interviewers Sophia, Alex, Nyeema, Poli, Sydney, and Olivia! 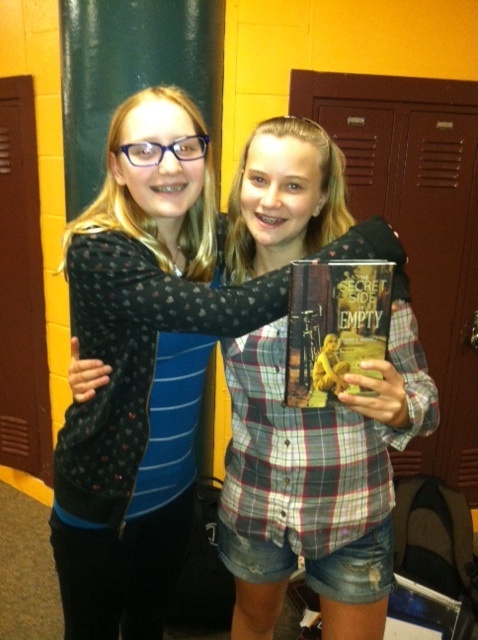 Sydney: I liked the journal entries from Alice because they were funny. I liked how Audrey felt emotional and cried when she finished reading the diary. The book inspired me to start writing a similar story of my own! That’s awesome! I love it when a book inspires writing. It was so much fun to write Alice because she was such a witty person. Alex: I liked how the book is set in the White House. My favorite part was when Audrey got caught on the roof with…something she wasn’t supposed to have. The roof scene is one of my favorites, too—and probably the one I enjoyed writing the most. Poor Audrey! Poli: I think the storylines for both Audrey and Alice were really good. I liked when Alice brought the snake to the dinner. Thanks! The snake, Emily Spinach, might be my favorite character. Sophia: I liked how Audrey and Alice have a lot of different connections even though they live in different times. Thank you! Some of the connections surprised me while writing—the things in Alice’s life that seemed very modern, and the ways in which she had more freedom than a first daughter today does. 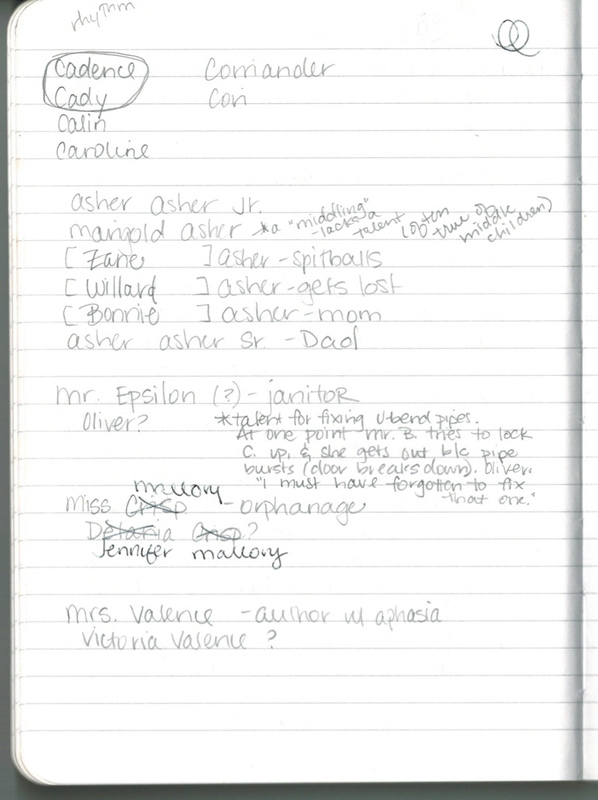 Olivia: I like how the journal entries show how life as a first daughter was different for Alice than it is for Audrey. I think about those differences a lot, whenever first daughters are in the news. It seems crazy how Alice got to go shopping on her own and could ride her bicycle around Washington while she was a first daughter—compared to the 24/7 security that a first daughter has today. Thank you! I wanted to make sure that Audrey could share her voice on an issue that matters to people today. And I thought that scene in Audrey’s room was funny, too—it was another one that I loved to write. Poli: What inspired you to write this book? I was in middle and high school during the Clinton presidency. The idea of a girl my age living in the White House fascinated me. I always wondered what Chelsea Clinton’s life was like, living in such a historic and important place. Sure, she got to go to State Dinners . . . but did she still get to have sleepovers? Was a Secret Service agent sitting in a desk in her classroom at school? Did she still have to change Socks the (first) cat’s litter box? Writing When Audrey Met Alice let me answer some of those questions by imagining what life as a first daughter feels like. Olivia: Why did you decide to write about a past first daughter in addition to a present-day one? Sophia: How long did it take you to write this book? A long time! After a couple of months of research, I started writing a first draft of Alice’s diary. When I was done with that, I wrote Audrey’s story. Those drafts took about six months to write. After I had a complete (but very rough) draft of each girl’s story, I worked on combining them. And I revised the book about eight times before the final, published version. I think I wrote the first words in May 2010, and the book sold to my publisher, Sourcebooks, in September 2012. It made its way to bookstores in February 2014, close to four years after I started writing it. Publishing requires a lot of patience! Olivia: What is your writing process like? Do you have a writing group? I like to write first drafts “with the door closed”—an idea that comes from one of Stephen King’s books on writing. That means that when I’m working on a rough draft, I try not to show my writing to other people. Writing that exploratory draft without sharing it helps me feel okay with taking chances and trying new things that might not end up working. I take a little time off after finishing a first draft, and then I revise once by myself. After that, I am happy to get opinions and insight from critique partners, my literary agent, and eventually my editor. My mom is usually the first person who gets to read a new book—and she is a helpful reader because she used to be an English teacher. I meet up with a group of writers on Wednesday nights. Sometimes we read one another’s work, but mostly we get together to support and encourage each other—and share cookies. They are good writing fuel. Nyeema: Was it complicated to write Alice’s point of view? It was complicated! I wanted Alice’s story to be as close to the truth—the historical details—as possible. I also wanted her voice and opinions to be authentic. But at the same time, I was creating a fictional character. I had to balance when to stick with the facts and when to let myself imagine her feelings. I also wanted to make the language she used be true to her time period, but still enjoyable for a reader today. I spent a lot of time looking up words in the dictionary to make sure I wasn’t having her use slang that hadn’t been invented yet. Alex and Poli: How much White House research did you have to do? Are all of the facts about the White House, like the chocolate shop, true? Did you get to take a behind-the-scenes tour? I did a lot of research! There are many wonderful books, programs, and websites about White House history. Reading and watching them helped me imagine the White House. There really is a chocolate shop (here’s a video of the Executive Pastry Chef decorating treats in it: http://whitehouse.c-span.org/Video/ByRoom/Chocolate-Shop.aspx)—and a cookie tray. At the same time, Audrey’s White House world is fictional. One example is that golf carts aren’t used on the grounds for transportation. I added that detail because I really wanted to give her a chance to go driving, but I knew it would be implausible for Audrey to get into a car as a thirteen-year-old at the White House. I took a private group tour of the grounds of the White House while I was revising the book. It was a wonderful experience, and being able to walk around the gardens and through the building helped me develop the setting. One of the things that surprised me when I was there was how quiet and calm it felt. I expected the grounds to be bustling and noisy, especially on a day with a big tour. But it felt very serene. Sydney: We go to a Friends school and noticed that Audrey goes to a Friends school called Friends Academy. What do you know about Friends schools? How did you decide to set your book at a Friends school? The idea for Friends School first came from the school that the Obama girls currently attend, and Chelsea Clinton attended: Sidwell Friends in the Washington, DC area. I didn’t know much about Friends schools before writing, but I had the opportunity to research them while working on the book and I enjoyed learning more about this type of school. I really admire the emphasis on community, spirituality, and social responsibility at Friends schools. Poli and Sydney: Will there be a sequel? We think it would be cool to have a book with another new first daughter reading Audrey’s journal! If there won’t be a sequel, can you tell us anything about your next book? I don’t have a sequel planned, although if I ever have the opportunity I’d love to write another book about Audrey or Alice. Alice had a lot of travel adventures that I didn’t cover in the first book . . . But I do have another book coming out, Summer of Lost and Found, which will publish in early 2016. Like When Audrey Met Alice, it blends contemporary and historical fiction. This story is about a girl who travels to Roanoke Island in North Carolina and starts to unravel the mystery of what happened to the Lost Colonists in 1587. Olivia: Were you bullied at all, the way Audrey is teased at school? I was very shy throughout school, and rather sensitive. I wasn’t teased much, but I do remember how hard it was to navigate cliques, and sometimes I felt excluded by friends. Those experiences helped me write Audrey—I could empathize with the loneliness she felt in the book. Poli: When you were in middle school, did you want to grow up to be a writer? I wanted to be a lot of things when I was in middle school, and while I loved reading (it has always been my favorite thing!) I didn’t think I could be a writer. I enjoyed telling stories and creating characters but writers seemed like superheroes to me, and I was an ordinary book-loving girl. What really changed my mind was getting to meet one of my favorite writers (Sharon Creech) at a book event. She talked about her process for writing, and it suddenly occurred to me that it wasn’t magic or a superhuman storytelling ability that let her create such great books—it was hard work! After that, I started to believe that someday I could write a book, too. Nyeema: Did you fantasize about living in the White House? I definitely did! I could imagine the fancy dinners, having friends over to play in the bowling alley, and getting to do the White House Easter Egg Roll. But I also vividly remember watching the episodes of Saturday Night Live in which they poked fun at Chelsea Clinton, and feeling terrible for her. As much as I was a little jealous of all the cool things she got to do as a First Daughter, I thought it would be hard to live there, too, with all that attention on you. Sophia and Alex: Was English your favorite subject? Was it your best subject? English has always been my favorite subject, and probably my best. I was pretty good at math and science, too—I started college as a biology student and was sure that I would go to medical school. But eventually I realized that I really wanted to make books for a living, as an editor and an author. One of the coolest things about writing is that I can still study a lot of different subjects, to write about them. Thanks, Rebecca, for answering our questions! 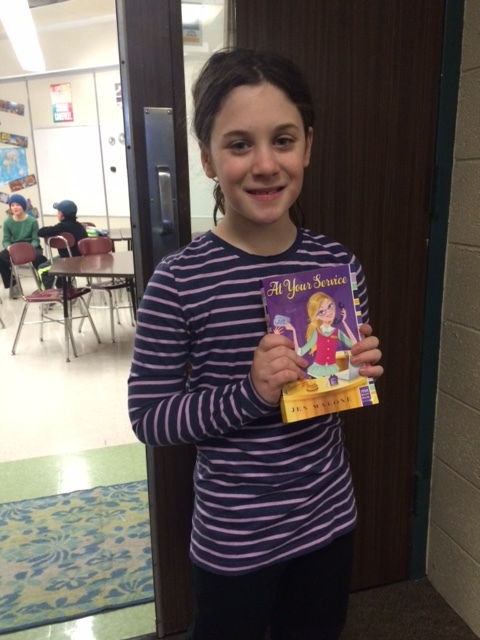 We can’t wait for your next book! This past August, like most Augusts, my to-read pile was dominated by a certain kind of book: I was mostly reading new books that I thought might work well as middle school read alouds. I’ve blogged before about why I love to read aloud to middle schoolers and the criteria I use when selecting a good read aloud, so at first I thought I’d already written enough on the topic here on the blog. But then I thought back to when I first started teaching middle school. I was incredibly grateful to find some specific suggestions of books that had worked well as read alouds on The Reading Zone, because not every great book translates into a great class read aloud. In addition, I’ve been noticing recently that even though most of the people I know who read my blog are writers and not teachers, the posts that get the most hits are the ones that delve into specific teaching recommendations. So in the end, I decided to share this fall’s batch of read-aloud recommendations after all. If you’re not looking for books to read aloud to a group of young people, the good news is that these five books are equally fun to read on your own! Theodora Tenpenny is grieving for her grandfather and attempting to make do with the $463 he left behind. 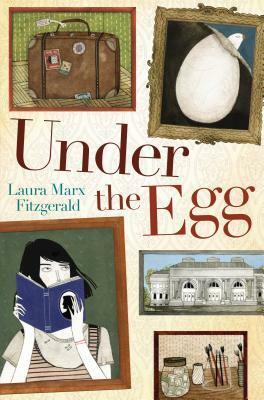 She has no idea what her grandfather meant just before he died, when he told her to look “under the egg” and said something about a treasure. But after she spills rubbing alcohol on one of her grandfather’s paintings and discovers another painting—a really old, potentially priceless painting—underneath, she sets out to discover where this painting came from and what other secrets her grandfather might have been hiding. 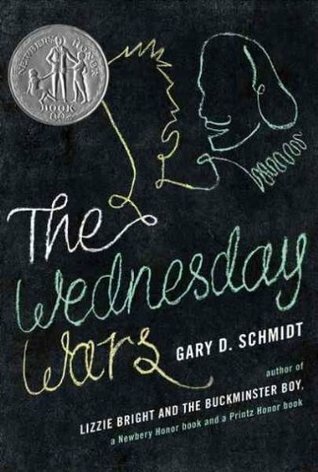 I think this book makes a great read aloud because of Theo’s humorous voice, the opportunities for students to make inferences, and a subplot about the Holocaust, which will appeal to young history buffs. On a practical level, it also features a main character who’s going into eighth grade. That’s great for my purposes because it can be hard to get seventh and eighth graders invested in a book about a sixth grader (and there seem to be a lot of excellent books starring sixth graders!). 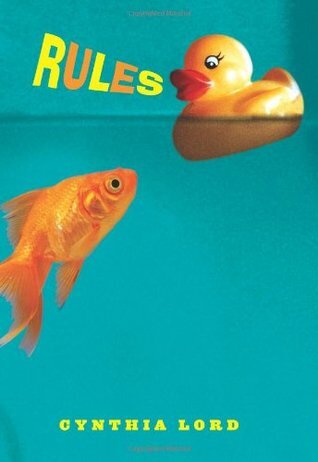 I decided to use this book as my first seventh grade read aloud. 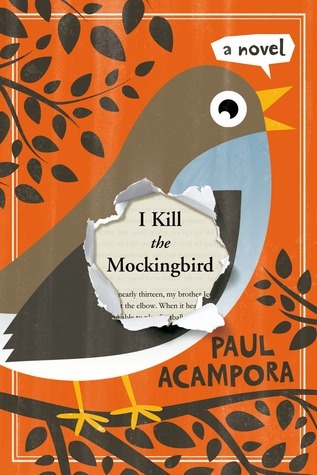 During the summer after eighth grade, Lucy is determined to honor the memory of her beloved English teacher by getting everyone in her town excited about his favorite book, To Kill a Mockingbird. She and her two best friends come up with a very unconventional plan that involves hiding copies of the book and convincing everyone that somebody is out to “destroy the mockingbird.” Thanks to the power of the internet, their plan quickly spirals out of their control. This is a funny, fast-paced book that will be a lot of fun to read aloud. It’s also a fairly short book with short chapters, which is helpful for a read aloud. (I can only read a bit at a time, so it’s tricky to maintain momentum with long books and to find good stopping points in books with long chapters.) Since we’ll be reading To Kill a Mockingbird at the end of the year, I decided to use this book as an eighth grade read aloud. I’m not sure that it will encourage students to make a lot of inferences, but it will balance out some of the heavier reading we do with something that’s a lot of fun and it will lead to some good discussions about book censorship and the way a topic can go viral. This book got a lot of well-deserved buzz last spring during the #WeNeedDiverseBooks campaign because of its fabulously diverse cast of characters, and I think it would make a really fun read aloud. Jackson Greene is a reformed troublemaker who returns to his con-artist ways after discovering that the student council election is rigged against his friend Gaby. 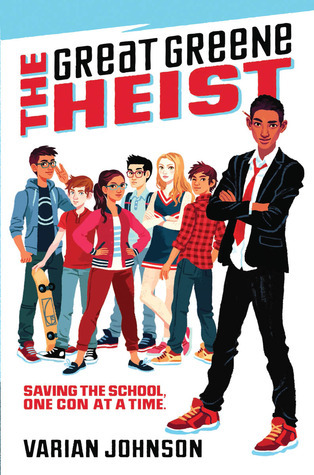 While it’s realistic fiction, this is the kind of book that requires readers to suspend disbelief in order to accept an incredibly corrupt principal and a group of incredibly talented, enterprising kids. I was more than willing to do that because of the fun tone, the humor, and the cleverly plotted story, and I’m sure middle school students will be, as well. It reminds me a bit of Kate Messner’s Capture the Flag, which was a very popular read aloud a couple of years ago. It’s also fairly short, and readers can make inferences as they piece together what happened in Jackson’s previous cons and guess how how he will pull off his election heist. Eleven-year-old Jarrett has a lot on his plate. He’s struggling through summer school, and he has to help with the foster babies his mom takes in. 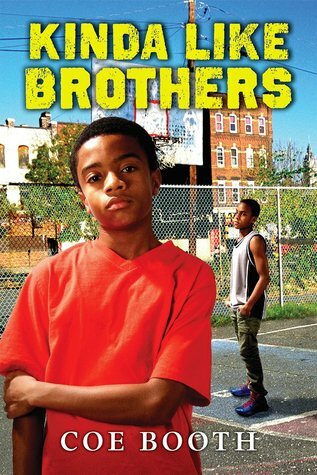 As if that weren’t enough to deal with, his mom starts taking care of a new baby…and this one has a twelve-year-old brother, Kevon. Suddenly, Jarrett has to share his room with Kevon, a slightly older boy who’s better than he is at everything. I love the way Coe Booth sets up the relationship between these two boys so that readers completely understand why Kevon pushes Jarrett’s buttons so much, but we also see how much Kevon is hurting and how Jarrett’s actions could end up being disastrous. This book has a lot of great suspense and tackles a lot of big issues, so it’s a page turner that will lead to productive conversations. However, it tackles those issues gently and incorporates plenty of humor, so that even sensitive middle grade students will be able to engage with the story. I’m not teaching sixth grade this year, but I think this book would be a perfect sixth grade read aloud. 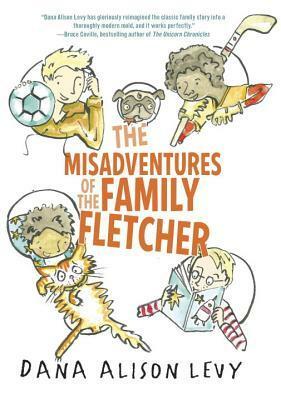 This delightful debut features the four funny and endearing Fletcher boys as well as their loving, often frazzled dads. I loved all of the Fletcher kids. The youngest, six-year-old Frog, is adorably hilarious, and I appreciated how the three older boys, twelve-year-old Sam, ten-year-old Jax, and ten-year-old (but younger than Jax) Eli, each have their own satisfying character arc throughout the story. It’s great that this book depicts a modern and diverse family, and it’s also great that the book doesn’t feel like it’s trying too hard to be politically correct. It’s just a humorous, big-hearted family story with lots of great shenanigans. It would be a really fun read aloud for fourth, fifth, or maybe sixth grade. Happy reading (whether aloud or not), and feel free to weigh in with other suggestions! 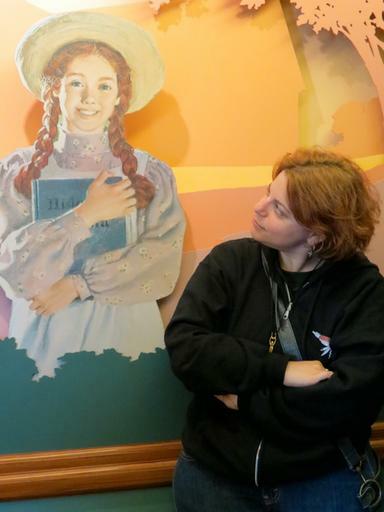 Back in 2010, Mary Kole, who was then a literary agent, wrote a post called “Is it MG or YA?” on her excellent site kidlit.com. I should note that the publishing market has changed between 2010 and 2014, so I can’t say whether this post would be the same if Kole had written it today. But she was responding to a question from a writer who wondered whether to classify a novel with a 14-year-old protagonist as MG or YA, and she advised this writer to “Get out of that gray area!” She went on to acknowledge that there are certainly exceptions to the middle grade versus young adult distinctions. “But to give yourself the strongest chance at success (and publication),” she wrote, “I’d urge you to follow the rules for the project you hope will be your debut, and decide whether you’re writing MG or YA.” She encouraged the writer to make his protagonist 13 for a middle grade novel or 15 for young adult. It’s extraordinarily difficult to get a novel published. I know that plenty of manuscripts with a whole lot going for them don’t sell because they aren’t right for the market, and publishing is a business. So this “make sure to fit into a category for your best shot at success” advice makes a lot of sense. But as a middle school English teacher, I live in the gray area between MG and YA. My students are generally between 11 and 14. Many of the sixth graders read novels that would be shelved in the middle grade section, but many seventh and eighth graders do not. As literary agent Marie Lamba wrote in her Writer’s Digest article “Middle Grade vs. Young Adult: Making the Grade,” “Middle grade is not synonymous with middle school. Books for the middle-school audience tend to be divided between the MG and YA shelves.” In the second half of middle school, many readers are drawn to those YA shelves rather than the MG ones. Most people realize that kids and teens like to read “up,” about characters who are a bit older than they are, but since there is so much edgy/sad/mature YA fiction with 17 or even 18-year-old protagonists, a lot of 12-14-year-olds are reading way up. Also, at both of the schools I have worked at (both pre-K to 12th grade private schools), the middle schoolers read more YA fiction than high schoolers do. There’s more flexibility in the curriculum to include contemporary YA and to encourage independent reading in middle school, whereas high school English classes at the schools I know focus more on the classics. Plus, students seem to get busier and busier the older they get, so many of them have less and less time for pleasure reading in high school. YA might be targeted at readers 14 and up, 13 and up, or 12 and up, depending on who’s doing the targeting, but sometimes those 12-14-year-old readers are reading more of it than their 15-18-year-old counterparts. I am not saying there is anything wrong with mature, dark YA books at all. But I often wish there were more contemporary novels in that gray area between MG and YA *as well* because I know firsthand that there are readers who crave them. Probably not surprisingly, I also gravitate to writing stories that would appeal to this in-between, sixth-to-eighth-grader demographic. I’ve been pleased to see that the in-between gray area is getting more attention recently. 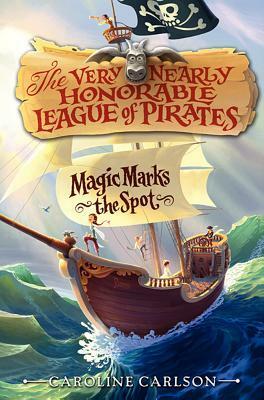 In her Writer’s Digest article, Marie Lamba distinguishes between younger middle grade, with protagonists who are around 10 years old, and “older, more complex” middle grade books with protagonists up to age 13, and she also distinguishes between “younger YA with cleaner content aimed at the middle-school crowd,” with protagonists who tend to be 14-15, and older, edgier YA with older main characters. classroom library come September. 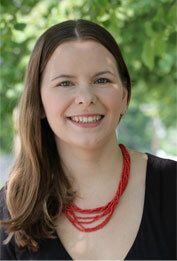 Writer Carie Juettner also has a terrific blog post about the confusing MG and YA distinctions; she distills the MG vs. YA guidelines from several sources into a very helpful chart and shows how I Kill the Mockingbird walks the line between MG and YA. So does dwelling in the gray area mean that writers are more likely to rack up rejections from editors and agents? Are there other books you know of that hit the upper-MG or young-YA note well? Are these categories at all different for fantasy and science fiction than for realistic fiction, which is what I tend to read? I’d love to hear what others think. 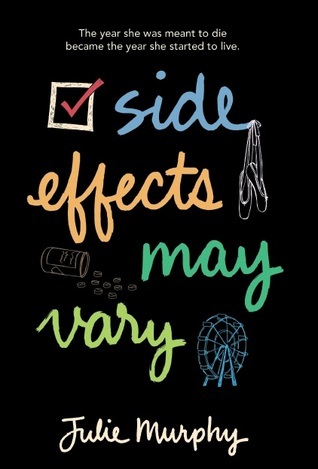 Some readers find Alice in SIDE EFFECTS MAY VARY unlikable…but I think this is an important book BECAUSE Julie Murphy depicts Alice’s anger in such a raw, honest way. If you’ve ever read reviews on Goodreads or Amazon, you know that readers find characters unlikable ALL THE TIME. The fact that some readers find a character unlikable doesn’t mean that a writer has done anything wrong. Certain characters simply elicit strong positive and negative reactions. One of the most powerful things about reading is that readers can empathize with characters even when characters do unkind or unwise things. Readers can recognize themselves—even the parts of themselves that they’re not proud of—in characters, and that can be a huge relief. While every reader does not need to like every main character in every moment, most writers probably don’t aim to create alienating characters. I’ve been thinking about character likability lately because I’ve been working on a book with a narrator who is a bit…prickly, at times. I was lucky to have a couple of very insightful writer friends read my manuscript earlier this summer, and they pointed out a few places where my character was off-putting in ways I hadn’t intended. That feedback was extremely valuable as I revised. 1.) Whininess. If a character whines too much and feels sorry for him or herself, that’s often a turnoff. 2.) Lack of obstacles/antagonists. This one is related to whininess. If a character is having a hard time or complaining a lot but things seem to be going pretty well, readers may get impatient. 3.) Lack of growth. If the character doesn’t seem to be growing or changing at all throughout the story, that can also be frustrating. 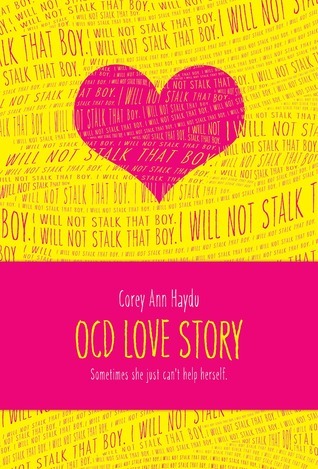 Corey Ann Haydu doesn’t shy away from letting her characters do unsettling things, and I think her books are important for that reason (but can be tough to read at times). Now, this is all pretty subjective. One reader might have an especially low tolerance for whininess, and another reader might balk at too many dangerous situations. Writers can’t control everybody’s reactions. But when it’s time to revise, I find it helpful to look out for these six potential issues. I also found that I needed to incorporate moments when readers can clearly see my character’s vulnerability. Readers need to see what she yearns for and fears even if she doesn’t want to acknowledge those things. Because, as I suggested throughout my list of potential likability issues, if readers see deeply into our characters and understand the reasons for the characters’ thoughts and actions, they are likely to hang in there and love our characters even in moments when they don’t especially like them. What do you think? Have you noticed any other likability issues? Have you read other books with characters who are occasionally unlikable but still lovable overall? Well, it’s been a while since I’ve posted anything, but I have a good excuse! Or, actually, a few good excuses. First I was busy with the end of the school year, then I was busy getting married, and then I was in Maui and Kauai for a glorious two-week honeymoon! But now I have returned to moderately calm, regular life for the first time in a while, and here I am back on the blog. Since we’re in the midst of summer vacation, I won’t have any new student-author interviews for a while, but my students and I had a lot of fun doing the first six interviews (with Amy Rose Capetta, K. A. Barson, Lisa Graff, Trent Reedy, Tara Altebrando, and Maria E. Andreu—check them out if you missed them!). I’m hoping to line up another batch come September! For now, though, I’m focusing on revising a middle grade novel (which started off as one YA novel and then turned into a very different YA novel before finally shifting into MG). In this revision process, and I’ve been thinking a lot about what it means to know yourself and what it means to know a character. Us about to get married! A few friends and family members who were there when my husband Mike and I got married at the end of June have commented that the wedding and all of the related details and festivities “felt like us.” It made me really happy that they said that. It’s incredibly exciting but not particularly easy to plan a wedding. I wanted the wedding to feel right to us, but I also wanted it to feel right and happy and comfortable for all of the people who are important to us. Ultimately, it felt like we were able to make the wedding a reflection of us as individuals and as a couple, and other people seemed to have a pretty good time, too (or were too polite to tell us if they didn’t). Us on my first boat dive. Unsurprisingly, I was nervous the night before. It might be hard to tell with all of the stuff covering my face, but sure enough I was happy in the moment. People throw around phrases like “be true to yourself,” and being true to myself is always a primary goal for me…but I don’t think I’ll shock anybody when I say that it’s an ongoing process to get to know yourself. I like to think I’m a pretty self-aware person, but occasionally other people will surprise me by articulating something about me that I hadn’t quite realized. 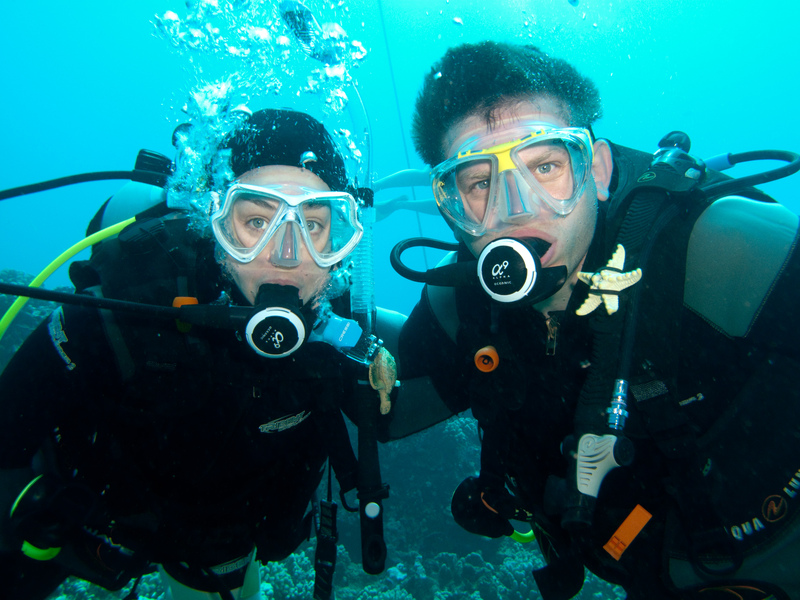 On our honeymoon, we did some scuba diving, which is something new for me, and Mike noticed that I tend to express nervousness or uncertainty ahead of time with new things but then blow past what I thought were my limits when I actually try the new thing as long as I don’t feel any pressure to do it. I wouldn’t have been able to clearly state that tendency, but I recognized right away that he was right. As complicated as it is to get to know yourself, it’s even more complicated to get to know a character you’re creating, especially because a writer often has to understand more about a character than a character understands about him or herself. During my MFA program, I learned to ask myself what my main character consciously wants and what she subconsciously wants. I learned to break down what drives her actions—to ask what she believes about herself and the world that causes her to think and act as she does, even if she isn’t aware of the reasons for her behavior. I learned to consider what the character lacks—what kind of void she feels inside, and what early experiences or relationships have carved out that void. These are all things that we might consider about ourselves and others might help us to realize…but they’re hard questions that would take us a lot of time and emotional energy to figure out. Sure, maybe the stakes are lower when you’re asking these questions about a fictional person, but when you’ve been thinking about a character for many years and are invested in telling that character’s story, it feels important to get them right. What I find especially challenging about writing is that I can attempt to answer all of the big questions about a character early in the writing process, but many of my initial answers have to change as I get to know the people and story better (or, you know, as I completely overhaul the set-up of a novel a couple of times). So I have to come up with some tentative answers about why my character is the way she is and why she wants what she wants, but then those answers crystallize or shift or even completely change throughout the writing and revision process. If I cling too tightly to my initial answers, the story I’m writing loses its vibrancy, but if I don’t have any answers in mind when I begin, then I have no idea where I’m going. And aside from all of that, it’s also tricky (but thrilling) to write from a character’s perspective when I know things about a character that she doesn’t realize about herself. One of the things I’m working on right now is making it clear to a reader why a really kind and wonderful boy is interested in the main character in the book I’m currently working on. Now, I love this character even though she is certainly flawed and has some unkind thoughts that she is quick to share in her narrative. I see her from the inside and the outside, so I’m not surprised that this boy thinks she’s special. But I need to make sure that readers see all of the amazing, endearing things about her even though she doesn’t see them in herself yet. Otherwise, they may get tired of her or wonder what the heck other people see in her. Difficult stuff! Can anyone think of books that do this especially well—subtly help readers to realize things about a character that the character doesn’t yet understand about him or herself? Or has anyone realized important things about a character after spending a lot of time getting to know the character and writing his or her story? I’d love to know your thoughts. I’m excited to present the newest student-author interview, featuring Maria E. Andreu, author of The Secret Side of Empty. This is an extra special interview because Maria visited our school, so the student interviewers got to meet her in person and eat munchkins with her. In fact, here’s Maria with the gang, post munchkin-eating. Maria with her student interviewers (one was absent, so we had another student fill in). If you look closely, you can see that they made a welcome sign on the whiteboard while I was escorting Maria to the classroom. Maria’s debut novel, The Secret Side of Empty, is loosely based on her own experiences. 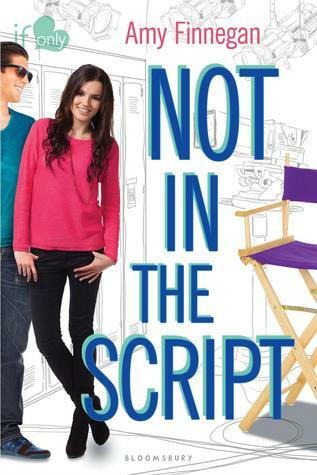 It tells the story of M.T., a high school senior with a wonderful best friend, an exciting new crush…and a very big secret. M.T. and her family are undocumented immigrants, and as her friends get more and more excited about planning their futures, she feels more and more alienated and lost. Maria spoke to seventh, tenth, and eleventh graders at Friends Select, and her visit was a great success. The Secret Side of Empty is an important book, and I was thrilled that Maria could share M.T.’s story with students at my school. There’s some difficult content in the book, so it isn’t the right fit for all 7th and 8th grade readers. 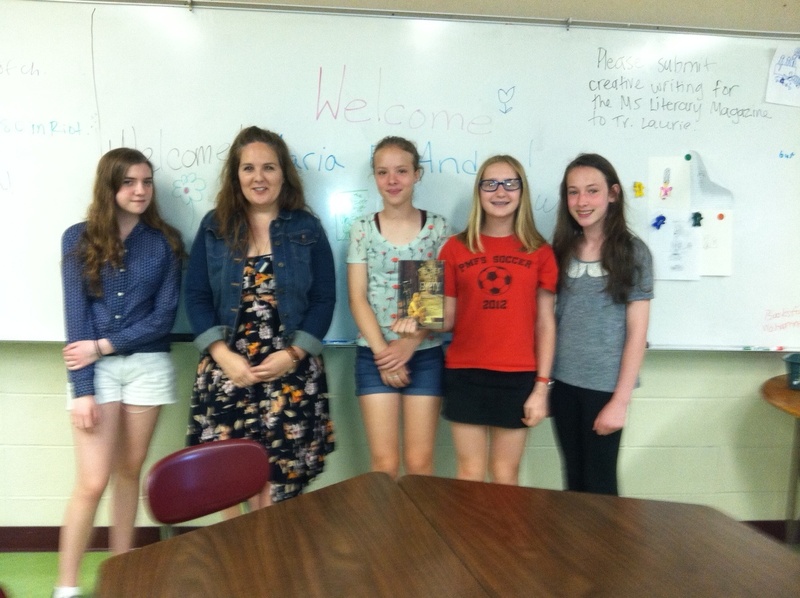 However, four mature and thoughtful 7th and 8th grade girls—Lydia C., Lydia S., Mary, and Lili May—were eager to read the book, and they had some terrific questions for Maria. More love for THE SECRET SIDE OF EMPTY! Lydia C: There are very few books that I can read in front of the TV while my sister is watching TV, but this was one of those books that I could sit in the corner and read and the TV was on and it didn’t phase me. I love reading in front of the TV too! Sometimes it’s the only way to hang out with someone when you don’t want to watch what they’re watching. I’m glad TSSoE held your attention. Lili May: I liked the fact that it was really well-written, so even at points when I wanted to stop reading because it was making me sad or nervous, it was really believable so I didn’t want to put it down. It was so suspenseful and I was so worried about M.T. that I had to keep reading even though I had homework. I’m sorry I made you worried! But I’m honored that you think the book is well-written. Lydia S.: I liked that it involved biking, because I’ve found biking to be a good way of dealing with stress. I also liked M.T.’s relationship with Chelsea and how they could stay friends even though they’re in such different financial situations. I like biking too! And I love that she had Chelsea in her life. Everyone deserves a good friend like that. Mary: When I first looked at the book, I liked that the flap copy had a bunch of good things, like about the reasons M.T.’s life isn’t bad, but then the flap copy turned bad when it talked about her father and things like that. When I was reading the book, I liked the description the most. Thank you! I like closing my eyes and picturing things, then trying to put those things into words. Lydia C.: I’m curious about M.T.’s mom. I’d like to know more about how you got the idea for the mom character. Was she inspired by your mom? Also, what happens to her after the end of the book? Definitely some of the inspiration for the mom character came from my mom the way she was when I was growing up. But I’ve known a lot of women like that. It’s hard to move to another country and not know the language and leave your whole family behind. It leaves you isolated and vulnerable. If M.T.’s mom is like most people who move here (and I think she is), after the years she spent being afraid of this new world she slowly started to try new things. (You can see the beginning of that in the book with the job and the English classes). I bet she goes on to do really great things. I can share with you that my mom now owns her own house and has a business that provides jobs for about 5 other people. She’s touched thousands of lives with it. So I think there’s a lot of good things in M.T.’s mom’s future as well. Mary: Did you ever have different expectations about M.T.’s future or a different outcome of the book? Yes, I originally wanted her to get an amnesty, which means she would have been put on a path to citizenship. I had some conversations with my editor and we agreed that it probably wasn’t realistic to end it that way in today’s political climate. It felt like maybe today’s reader would consider it too much of an “easy” ending. But I do still hope that she and others like her eventually get the chance to be citizens. Lydia S.: Did you base the friendship with Chelsea off of a real friendship that you had? A lot of the details of what she does with Chelsea are fictional, but I definitely had my own “Chelseas” growing up. In high school, there were 3 of us that went everywhere together. We are still friends today. Lili May: I really thought of giving up on the book when M.T. started thinking about killing herself. What were your thoughts as you added that part? How did you decide to do that? Did you have any worries about how readers would react? Thank you for not giving up on it! I know it’s hard to read about that sometimes. It’s difficult to imagine why someone would consider suicide. I put that in for a couple of reasons. First, I wanted people to understand the impact of how it feels to be living a life that seems to have no good options. I wanted people to understand the damage that can do inside. Second, I put it in because it was something I thought about as a teenager and young adult. I don’t think I really ever wanted to go through with it, but when I ran down the list of how to fix my situation, it sometimes popped up in my head. I’m so glad I found reasons not to do it because my life has been amazing. None of this would have been possible if I had made such a bad decision early on in my life. I guess the other reason I put that in is in case anyone knows someone who is feeling that sad and hopeless they will know to tell someone and ask for help. Lydia C.: Did you have worries about getting to go to college like M.T. does because of your undocumented immigrant status? I absolutely did. Most of the years I was in high school I was pretty sure I wouldn’t be able to go. (When I was in middle school I hadn’t started to worry about it yet, because my parents kept telling me one day we’d move back to Argentina and, anyway, no one in my family had gone so I didn’t even know what it was). Even once I became a legal resident and later a citizen, it took me longer than the average person to go to college. I had to work full time and go to school at night. It was hard, but I loved every minute of it. Lili May: Did you also have a “secret side of yourself” and not tell people about your immigration status? Absolutely. I was in my 30s when I finally started to tell people about my story. I was so scared to do it before then. Lili May: Did you always know you would be a writer? Did you always know you would write a story based off of your experience? I never thought I’d write a story based on my experience of being undocumented, though. Never, ever! Remember, I thought it was an ugly secret to hide. I’m glad I figured out it wasn’t. The results have been amazing. Lydia S: What were your favorite books when you were in middle school? Did any of those books inspire you later? I loved Judy Blume. I probably read Tiger Eyes a little later in middle school or early in high school and absolutely loved it. I also loved A Tree Grows in Brooklyn. She wasn’t undocumented or Hispanic, but Francie and I had a lot in common. And, of course, I just loved Anne Frank. I thought, like millions of people, that if we had just had a chance to get to know each other we’d have been friends. Mary: What was the longest book or story that you wrote then? I wrote in diaries a lot. I used to make up stories about what it would be like if I met my favorite singers and they fell madly in love with me or if the boys I liked from afar… also fell madly in love with me. I wrote a lot about boys falling madly in love with me, I guess. Lydia C: How much did you understand when you were in middle school about how it impacted you to be an undocumented immigrant, and how much did you not realize until later? I didn’t understand a lot about it. I knew we were undocumented, but I didn’t understand until later how it would impact my future. When I was in middle school I still thought I would have to move back to Argentina. I was twelve the first time I wrote in my diary that I didn’t want to move there. But it wasn’t until later in high school that I realized that my options here were limited too. I got my legal permission to stay when I was 18. Even after that I didn’t think a lot about the issue of how being undocumented had affected my life and how many other lives it was affecting. It took almost 20 years for me to “get it.” I can be a slow learner sometimes! Everyone, thank you SO much for taking the time to read the book and to put together your thoughtful questions. I hope I’ve answered them to your satisfaction. If there is anything that is still unclear or if you think of other questions, let me know! I hope I get to visit your school again one day soon. Thank YOU, Maria, for visiting our school and for your fascinating answers! We hope we can have you visit again, too. When I was a kid, I loved books that felt real. Judy Blume’s Just as Long as We’re Together and Here’s to You, Rachel Robinson were two of my favorites because I could completely relate to the main characters. 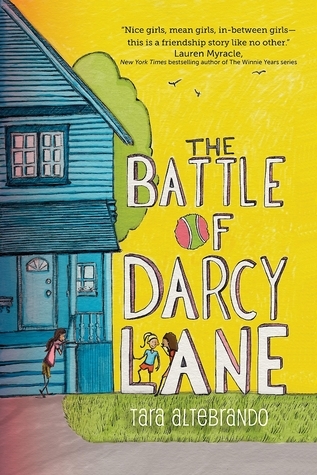 Tara Altebrando’s middle grade debut The Battle of Darcy Lane is just the kind of book I adored most back then because of the sensitive, realistic portrayal of twelve-year-old girls and their dynamics with each other, boys, and their families. Don’t get me wrong—I still loved this book as an adult—but I was especially excited to share it with three sixth grade girls because I could picture my sixth-grade-self sympathizing with the main character, Julia, and cheering her on throughout the story. 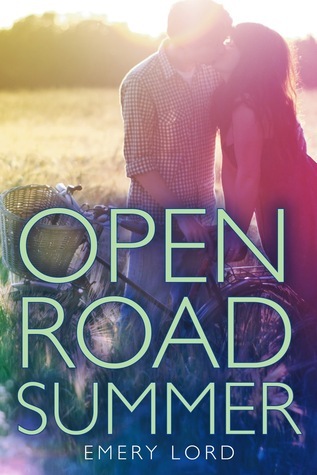 In The Battle of Darcy Lane, Julia is looking forward to a summer of fun with her best friend Taylor, but a new girl named Alyssa moves to her neighborhood, introduces Julia and Taylor to a ball game called Russia, and criticizes everything Julia does. Pretty soon Taylor and Alyssa are acting like best friends, and Julia has to fight to be included. There is change everywhere Julia looks, so she throws all of her energy into the one thing she might be able to control: a giant Russia showdown where she’s determined to beat Alyssa once and for all. 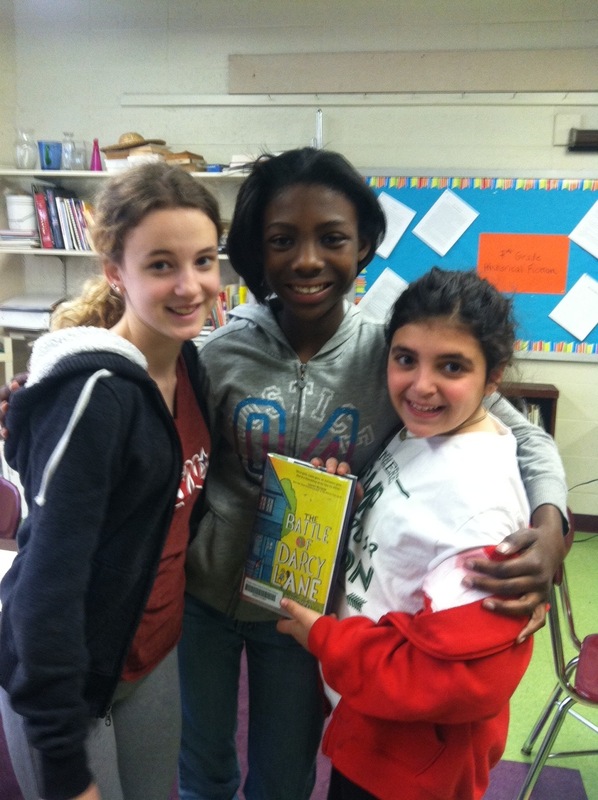 Three sixth grade girls, Izzy, Nyeema, and Alex, read The Battle of Darcy Lane and had some questions for Tara about the book. Alex: I liked all the drama, because it felt really realistic. I liked when Julia saw her crush Peter with Alyssa and freaked out. I thought Julia and Peter were a cute couple. Nyeema: I liked the Russia throw-down. I liked how we got to see Alyssa’s mom get so frustrated. It was funny but it also showed that Alyssa’s mom cares more about her daughter winning than about her daughter, which was sad. Izzy: What stands out to me is how Alyssa sort of steals Taylor because it reminds me of things that really happen in middle school. And now for some questions about THE BATTLE OF DARCY LANE! Izzy: Will you write any more books about middle schoolers? How is it different to write books about middle school students versus older teenagers? I’m really enjoying the experience of writing for middle schoolers so yes, I’m going to do it again. When I write for older teenagers, there is typically some kind of romance at the forefront of the story and it’s nice to be freed from that for a while. I remember my middle-school years as ones of big dreams and messy friendships and longing, before all the insanity of puberty and, eventually, dating, started, and I think there’s a lot of great material to work with in there. Alex: How did you come up with the characters’ names? I struggle with this! I usually end up going to the Social Security website, where they list popular baby names for each year. I read through the lists until I find a name that feels right for each character. Nyeema: Will you write a sequel about what happens after? If not, what are you working on now? I have so many ideas for different books that the notion of sequels has never appealed to me that much. I think I left Julia in a good spot and readers can imagine what the next few days and even years will be like for her. So I’m working on my next middle-grade novel, which is called My Life in Dioramas, and is about a girl who copes with moving out of her childhood home by making shoebox dioramas of her life there. She’s also secretly trying to sabotage the sale of the house. Alex: How did you decide to include the game of Russia? Have you tried to play it and have you gotten all the way up to 13? We think it seems hard! It is hard! But there was a time when I was great at it. It came through hours and hours and hours of practice. Would you believe when I shopped this book around to publishers it was called Russia? I thought that having that intense game in the book was a neat way to sort of highlight how friendship often feels like a competition. It really shouldn’t! And I don’t think it does when you get older, but in middle school totally. Nyeema: Which character is which on the cover? I think it’s: Julia, Alyssa, then Taylor. Is that right? Alex: Did you have friend drama or play Russia when you were in middle school? Yes and yes. Big time. The book is inspired by my own sort of toxic friendship triangle when I was twelve, and yes, we played Russia all the time. There was a never a big Russia showdown, but I definitely experienced a lot of what Julia’s experiencing. Nyeema: Did you have a phone when you were in middle school? I went to middle school a very, very long time ago. We didn’t even have cordless phones at home, and my parents didn’t let me have my own extension in my room until I was in high school. That must sound crazy to middle schoolers now! It sounds sort of crazy even to me and I was there. Thank you, Tara, for answering these questions! 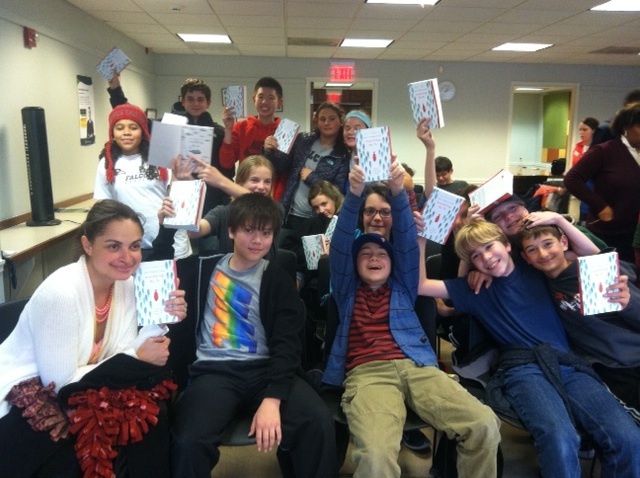 We’re glad to hear you’ll be writing more middle grade novels! 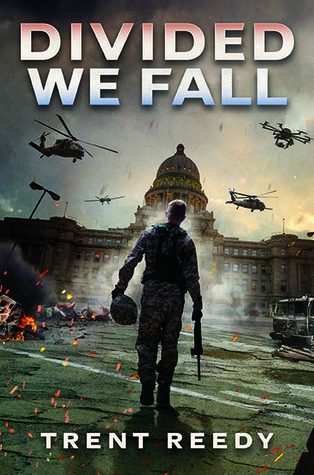 Book cover from Goodreads. Photo of Tara by Peter Lutjen, from taraaltebrando.com. I’m so excited to bring you the next installment of the Student-Author Interview Series! 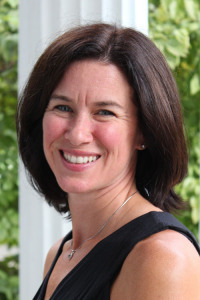 This time, three delightful sixth graders and two delightful seventh graders have interviewed the similarly delightful Lisa Graff, who has even shared some special bonus content with us! 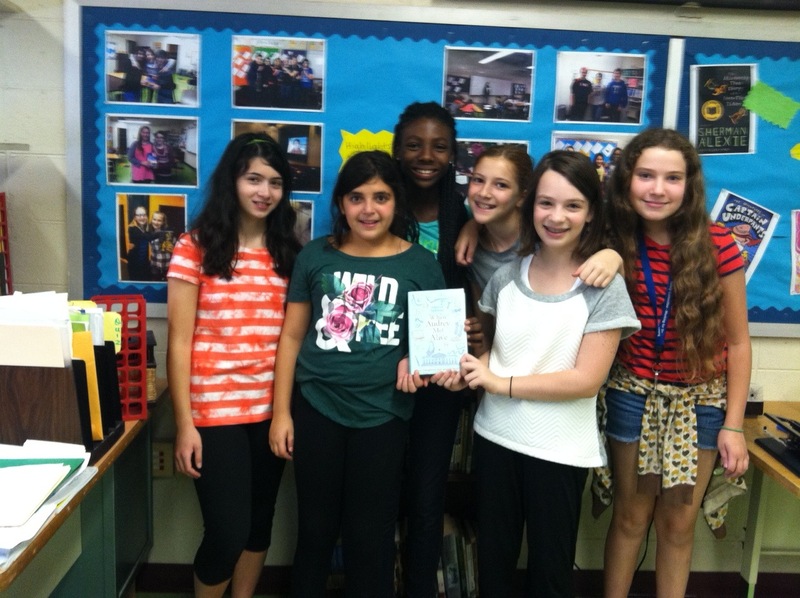 Poli, Sophia, Sydney, Dasha, and MaryElizabeth all read Lisa’s charming novel A Tangle of Knots, which is set in a slightly magical world where people have special Talents. It features an orphan girl named Cady with a Talent for baking people’s perfect cakes; a powder blue suitcase; a lost luggage emporium; and so much more. 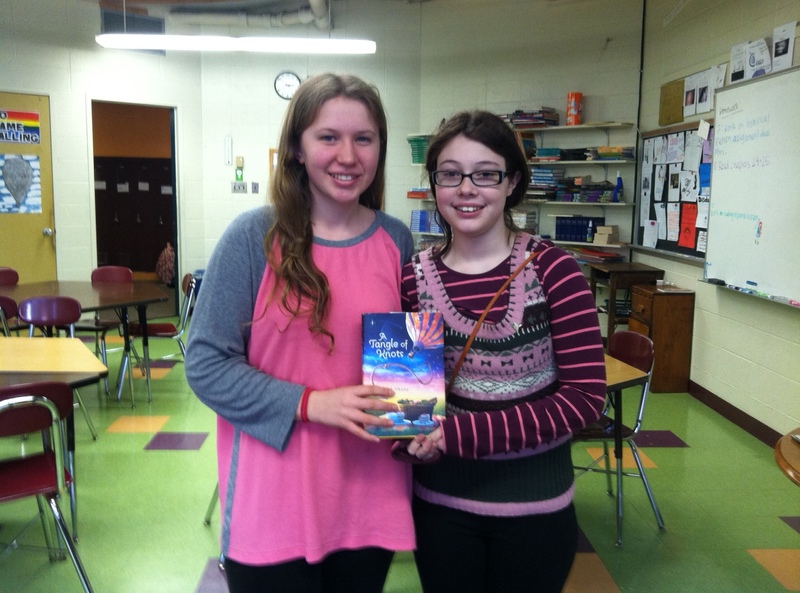 If you haven’t read it yet, it comes highly recommended (both by me and by these enthusiastic students)! Sydney: What I really liked were the Talents and how almost everyone had a special one. Poli: I liked that at first everything was a bit confusing and then at the end it all fell together. I liked Cady the best because she was sweet and gave off a “main character” vibe. Sophia: I liked how it was from all of the different character’s perspectives. Dasha: I liked that Cady’s Talent was making perfect cakes. It’s so random and happy. I also like the old man with the knot-tying Talent. I liked how at the beginning it was about this guy who seemed like he had a bright future, and then he ended up being the villain. I also like how the bad guy used his favorite Talent of floating all the time. MaryElizabeth: I liked how everything came together and the diversity of people’s Talents—how they were all random, like spitting and knot tying. I liked the cleverness of the story and the happy tone. I really liked the character of Toby. Poli: If you lived in that world, what would your Talent be? I could only wish it would be a tasty Talent, like Cady’s Talent for cake-baking. But more likely I’d end up with something boring but practical, like closet-organizing (already a specialty of mine—at least it comes in handy!). MaryElizabeth: What would be your perfect cake? Also, how old were you when you first started baking cakes? Was your first cake a disaster, or did it turn out well? Here’s seven-year-old Lisa, helping with her birthday layer cake! 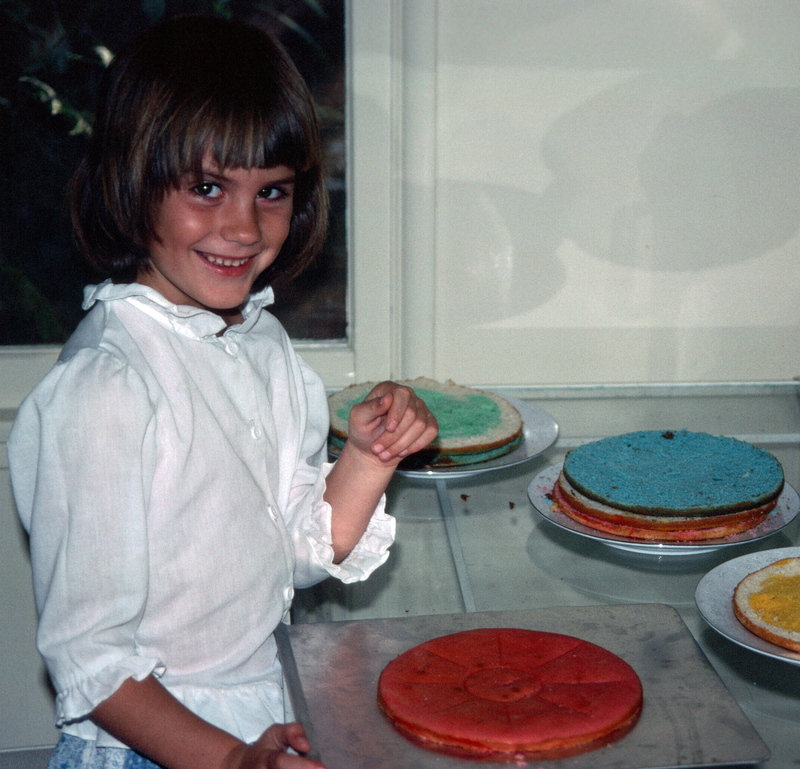 I probably first got the baking bug when I was seven years old. In my family we have a tradition where, when a child turns seven, he or she has an enormous party with all the grandparents and aunts and uncles and cousins, and there is a seven layer cake, where every layer is a different color. No one seems to know where this tradition originated, but my family has been doing it for as long as anyone can remember, and it is a lot of fun. When I first started baking on my own, I definitely had a lot of disasters. Even trying out recipes for A Tangle of Knots, I made several cakes that didn’t work out at all, so obviously those recipes didn’t end up in the book! Baking can be a challenge, but I think that’s what I enjoy about it. Dasha and Sophia: How did you come up with all of the Talents that seem so random? And how did you come up with the other random details, like the powder blue suitcase, ice cubes, and peanut butter? 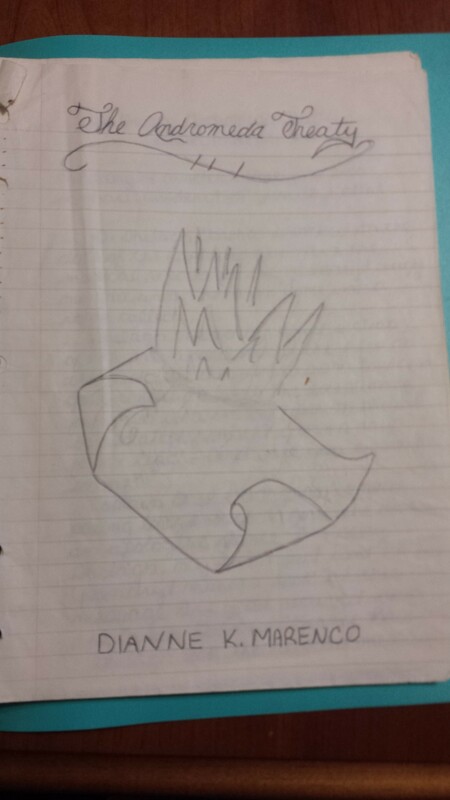 A page from Lisa’s brainstorming notebook. All of the Talents and details really just came from brainstorming. I kept a notebook when I was first working on this book, before I even wrote down a single word of the story, and I scribbled down every single idea I had about what might go in the story (whether I thought it was a particularly good idea or not). 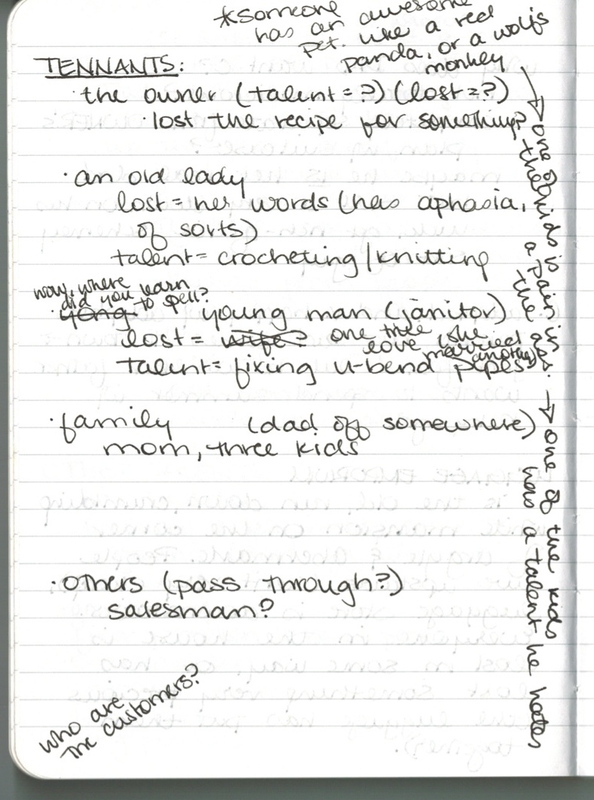 I went through the notebook several times and crossed out ideas I didn’t like anymore, and added new ones in the margins, and asked questions about the ones that stuck, and then tried to answer them. I filled up an entire notebook this way—and that was before I even began to outline! 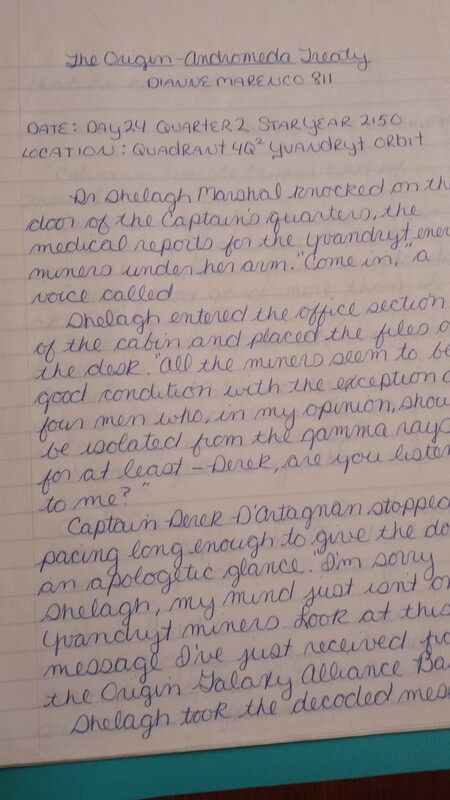 This was definitely a change from the typical way I write. Usually I like to dive headfirst into a novel before I have any idea of what is going to happen, and learn about the characters and their stories by writing through them. But I knew that in this book, which I wanted to be so full of intricate, connecting details, I was going to have to decide on the majority of things before I started writing. It was a big challenge for me. Poli: How did you come up with the characters’ names? Lisa’s name brainstorm. What fun to see the other name contenders that didn’t get picked! I should also say that in my original outline, and for the first several drafts, there were two big characters that I eventually ended up cutting out of the story completely. The first was a fourth Asher sibling (Asher Arnold Asher IV), who had a Talent for playing baseball but desperately wanted to play the oboe instead, and a janitor (named “Mr. Epsilon” in my notes, but later called Juan), who had a Talent for fixing U-bend pipes, and was meant to be a love interest for Miss Mallory. What became apparent pretty quickly, though, was that I was simply dealing with too many characters and storylines, so these ones got cut—and I could tell they didn’t need to be there, because once I removed them, I didn’t miss them at all. 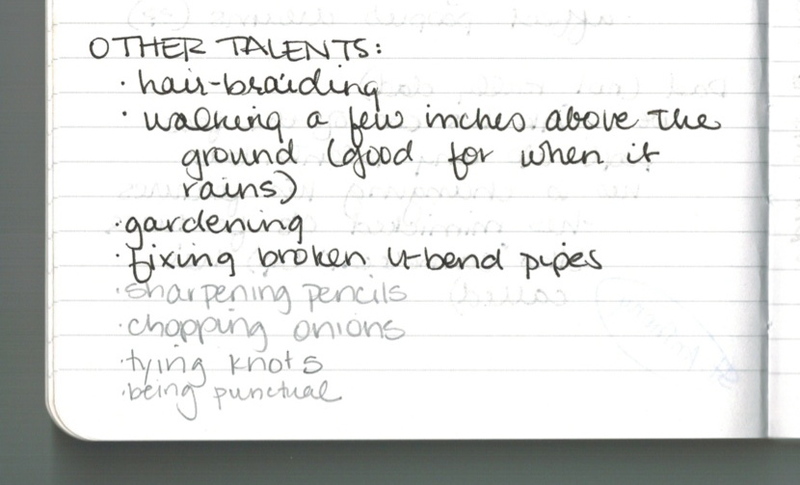 MaryElizabeth: What would you tell people who say they don’t have any Talents? What advice would you give them? This was something I wanted to talk about in my book. I think there are plenty of us who feel like we’ll never be the best in the world at anything—and that’s perfectly fine, in my opinion. You don’t need to be the best in the world at anything to be a good person, or interesting, and being good at something doesn’t mean you’ll even necessarily enjoy doing that thing. Part of the reason I think I love writing so much is that I never felt like it came particularly easily to me—it was always something I had to work at, and because of that it still feels so satisfying when I hit upon an idea or sentence that I’m particularly proud of. So I guess my best advice, if you feel you are a person with no special Talents, is to find what you love, regardless of how amazing you are at it, and do it with gusto. Sydney: What inspired you to write this book? Several years ago I watched a television special about the Unclaimed Baggage Center in Scottsboro, Alabama, where they buy unclaimed luggage from airports and bus depots and then sell the contents to the public. I thought this was the coolest, craziest thing I’d ever heard of, and I knew that I wanted to one day set a book in such a place. That idea rolled around in my brain for about three years, until I finally figured out the key to unlocking the story that should go with it—I’d had an image of a girl, opening a suitcase, searching for something inside, but all of a sudden I realized that the story would be so much better if there was something inside the suitcase searching for her. The story all fell into place around that one idea. Sophia: How long did it take you to write the book? Oddly enough, this was one of my quickest books that I’ve written to date. I spent three months brainstorming and outlining, then probably three months writing the rough draft, and then another two or three revising. Usually my books take anywhere from one year to two. Dasha: How did the cover come to be? 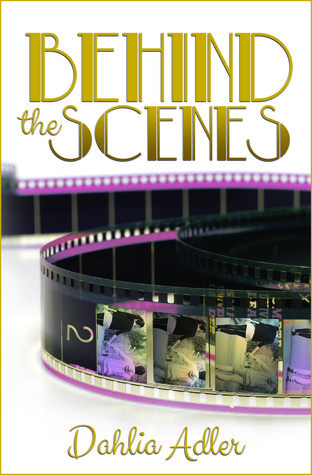 The cover, which I absolutely love, was all the brainchild of the designer and editor at my publishing house. They came up with the general idea for it, and then suggested a few illustrators whose work they thought might be a good fit for it (I got to weigh in at this stage and help pick the artist). I think the process was fairly simple for this book—sometimes these things can be pretty painful! MaryElizabeth: What was your favorite subject? In middle school my favorite subjects were art and chorus. I really liked science too (and I still do!). I enjoyed reading a lot, but I never felt like I was a particularly amazing writer when I was a kid. Sydney: Do you remember anything you wrote when you were in middle school, and if you do can you tell us about it? Have you ever taken an idea you had in middle school and turned it into a book, or would you? I wrote for fun a little bit when I was in middle school, but I didn’t start taking it more seriously until I joined my school’s writing club my freshman year of high school. When I was in middle school I thought it was lots of fun to write fake diaries from fictional characters’ points of view, and to illustrate them. That might be the thing I wrote the most of. I’ve never turned one of my childhood ideas into a book so far, but I have a picture book that’s been rolling around in my brain since I was fourteen—maybe one of these days I will finally figure out how to make it work! Dasha: What was your favorite book? 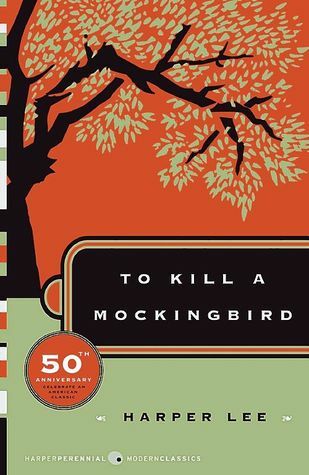 My all-time favorite book is actually one I first read in middle school: To Kill a Mockingbird. I also really loved The True Confessions of Charlotte Doyle. And I was obsessed with the Baby-Sitters Club books when I was in middle school too. I must’ve owned about sixty of them! I couldn’t get enough. Sophia: What did you want to be when you grew up? When did you start wanting to be a writer—was it before middle school or after? I decided I was going to be a pediatrician when I was four years old (no joke! ), and I still thought that’s what I was going to do until my freshman year of college, when I realized I enjoyed writing more than anything else. It was very hard for me to let go of that childhood dream, because it was the thing I’d wanted to do for so long, but in the end I knew that there was another dream I hadn’t really considered before, which was going to make me even happier. Once I made the decision to pursue writing, I never once regretted it. 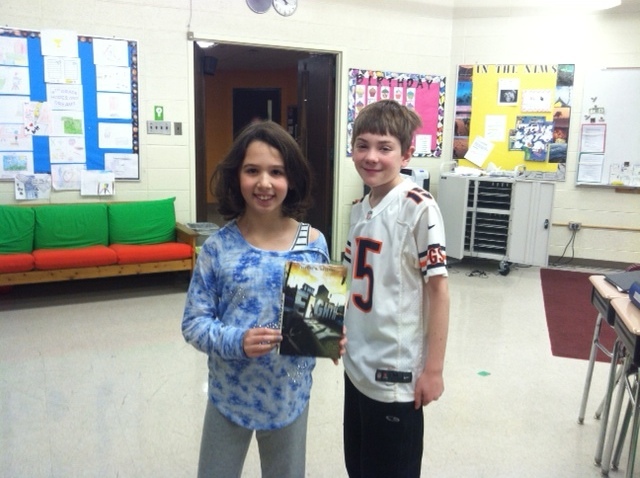 Thank you, Lisa, for answering our questions and sharing your adorable photo and fascinating notebook pages with us! We can’t wait until your next novel, ABSOLUTELY ALMOST, comes out in June!